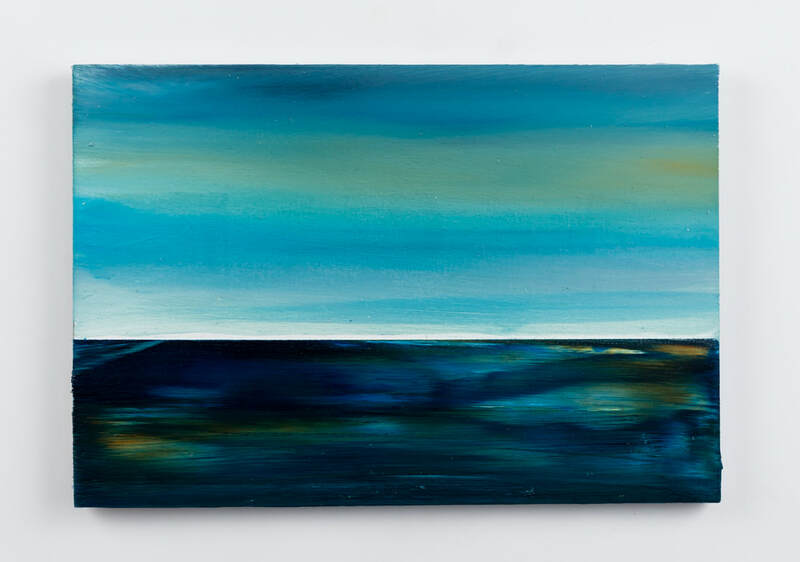 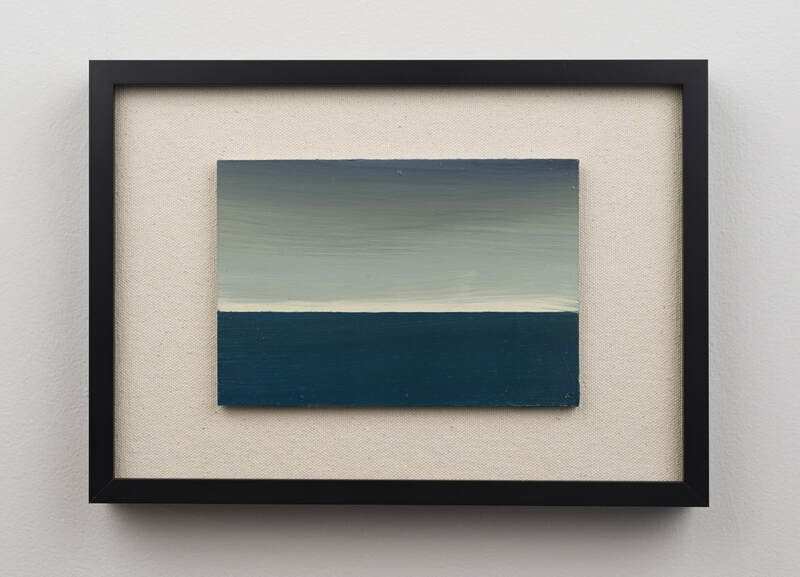 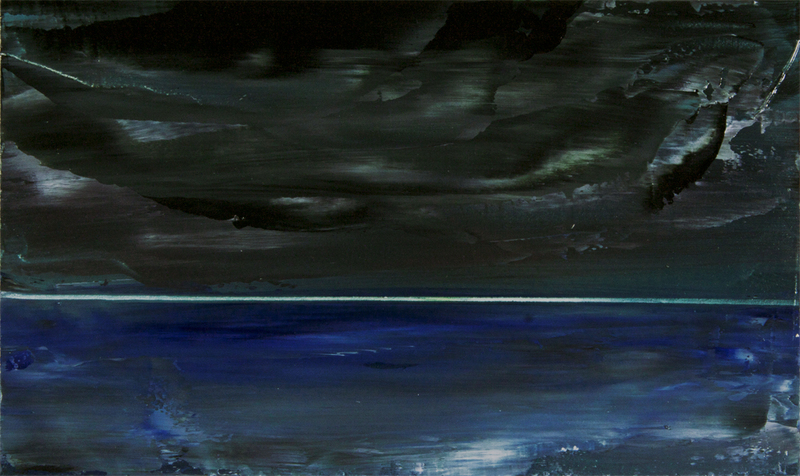 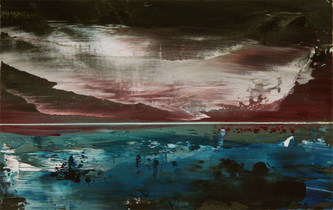 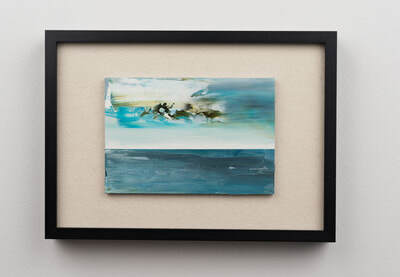 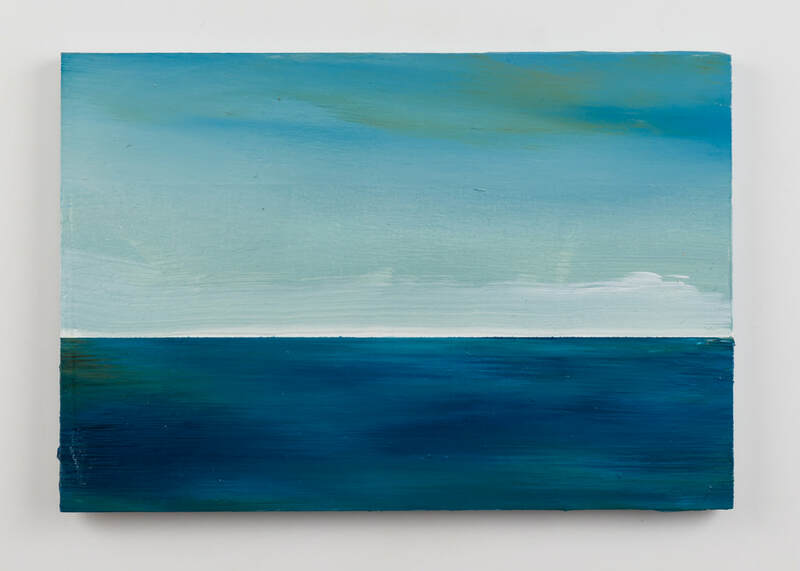 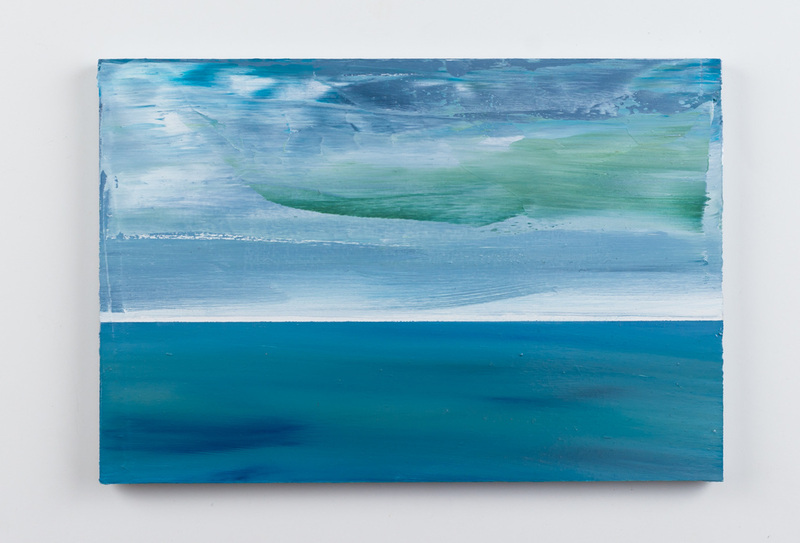 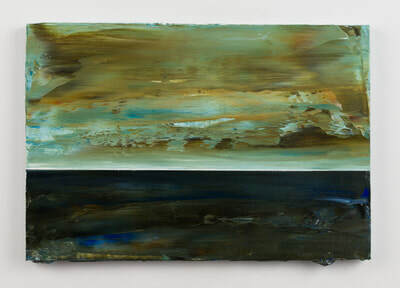 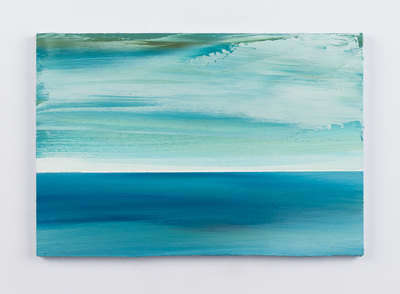 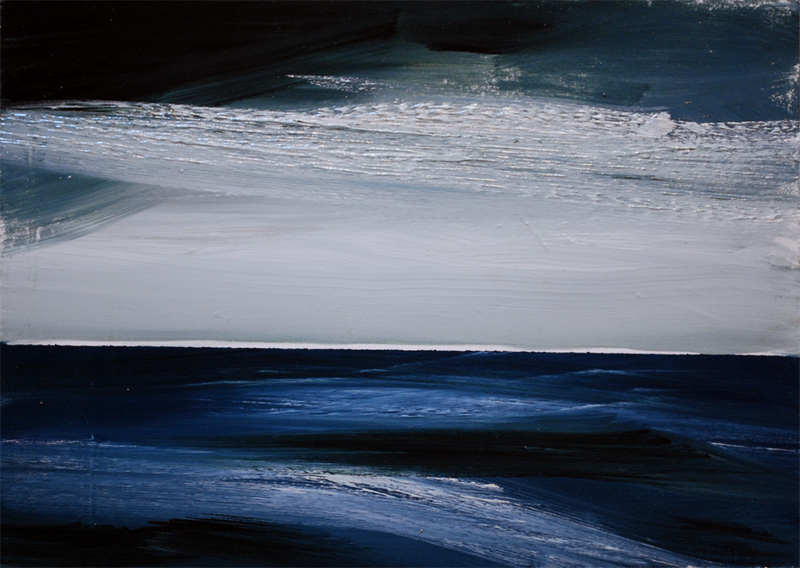 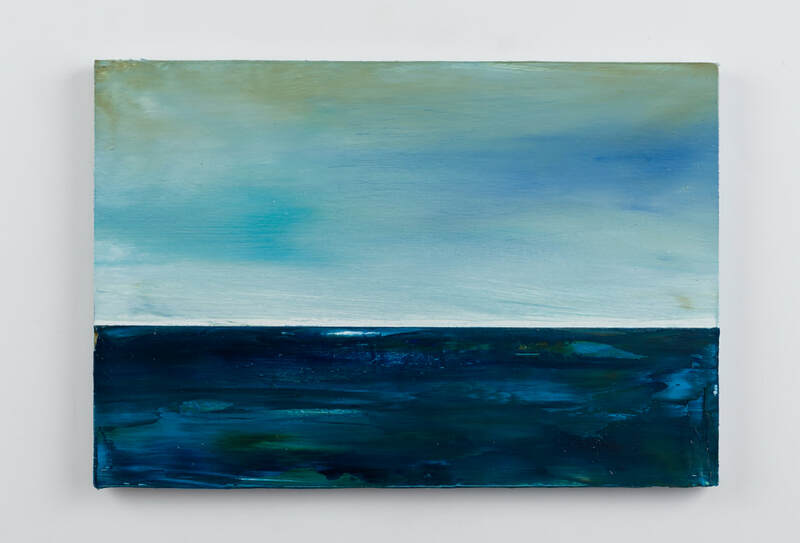 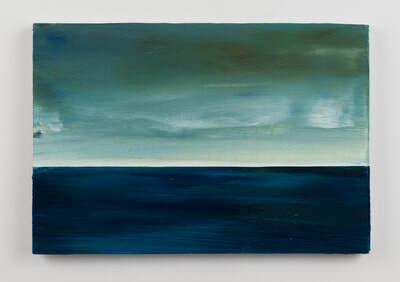 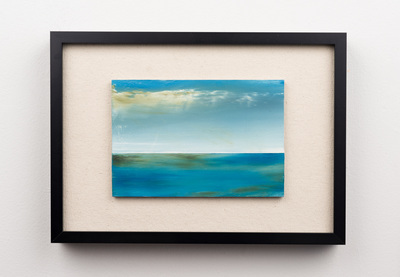 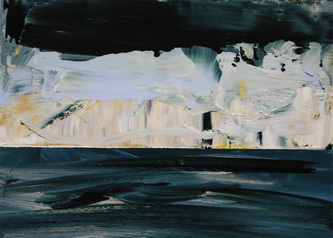 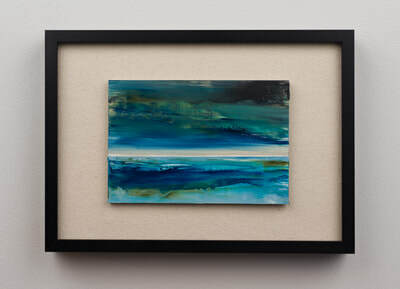 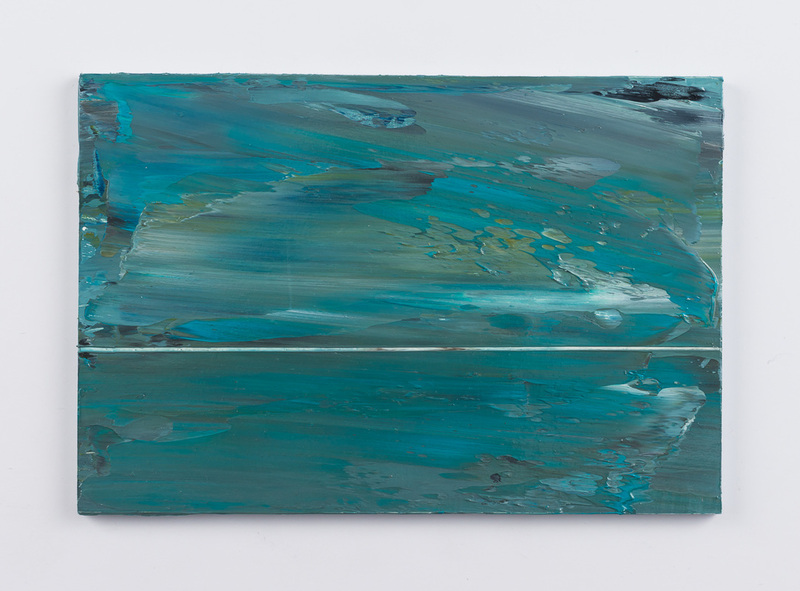 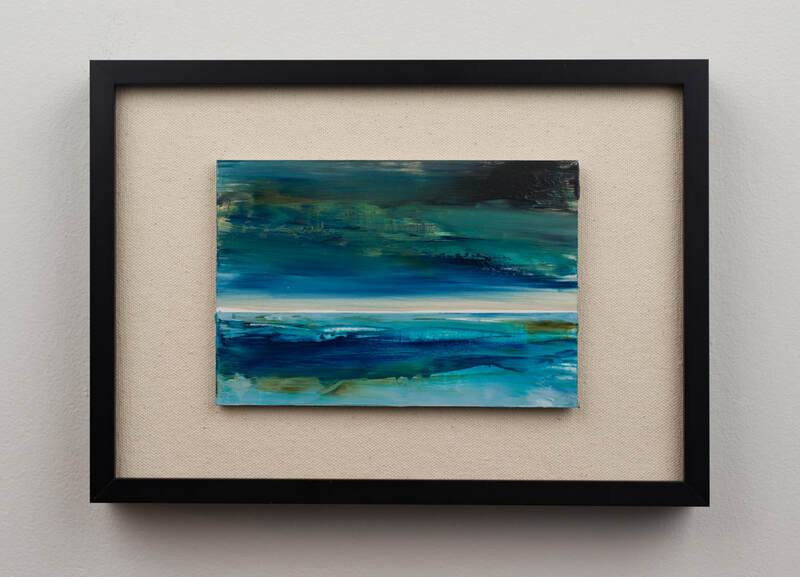 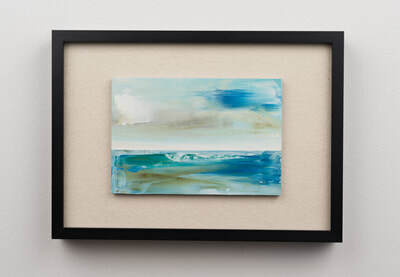 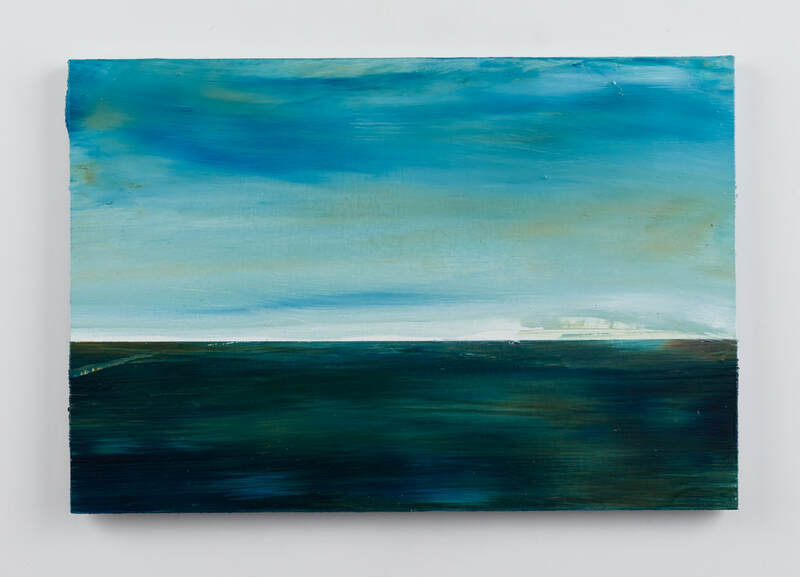 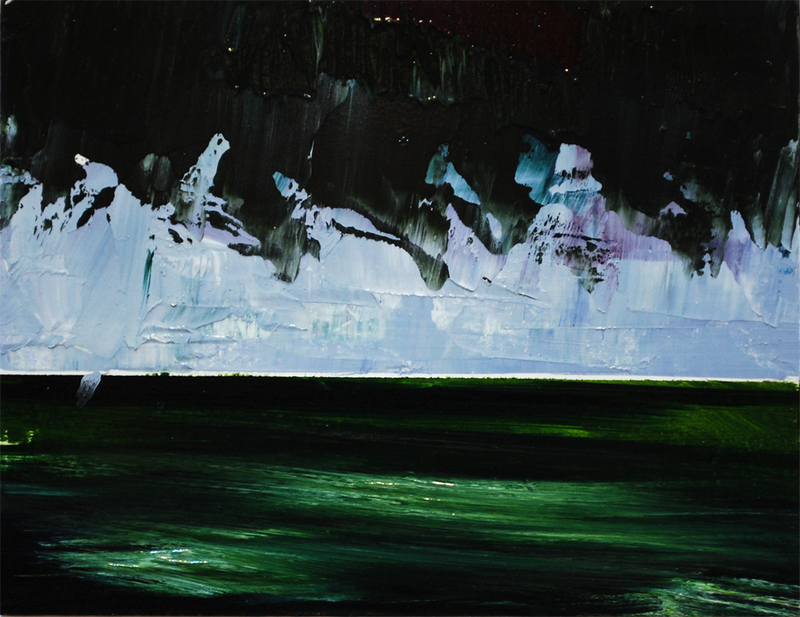 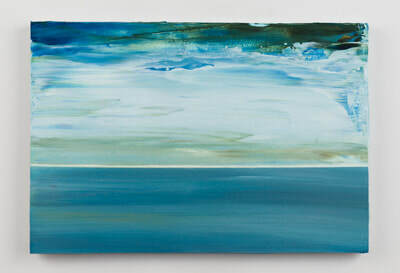 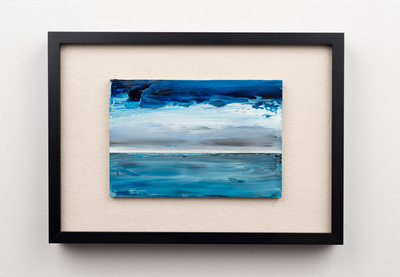 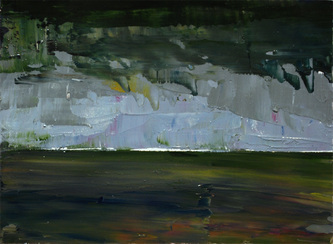 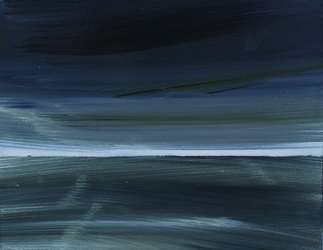 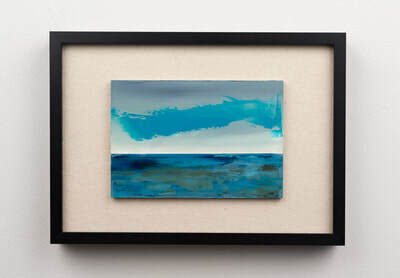 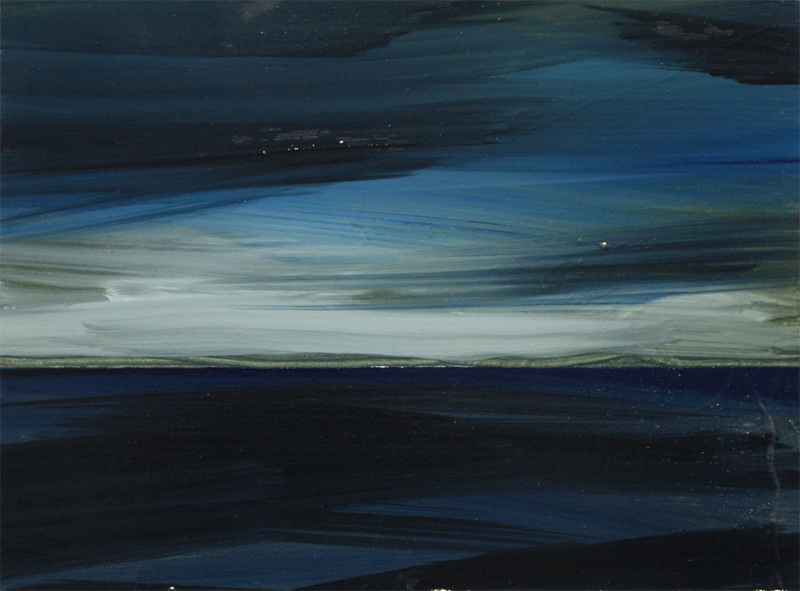 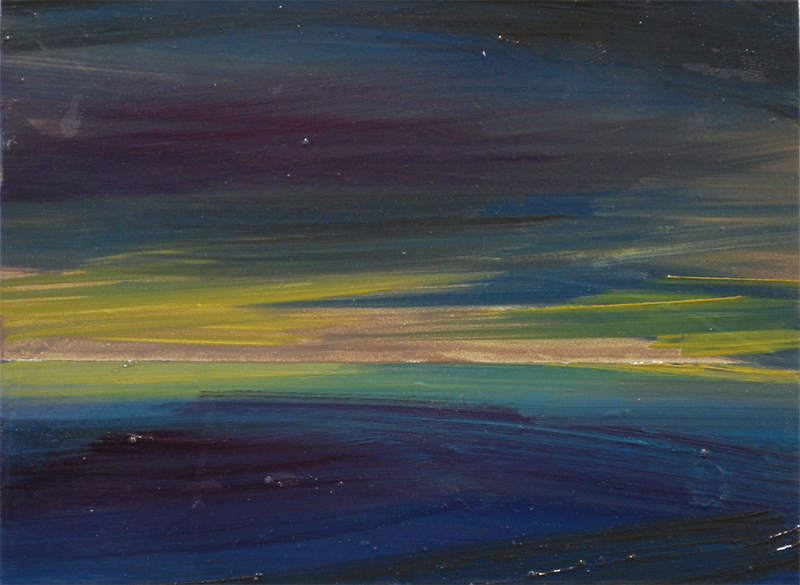 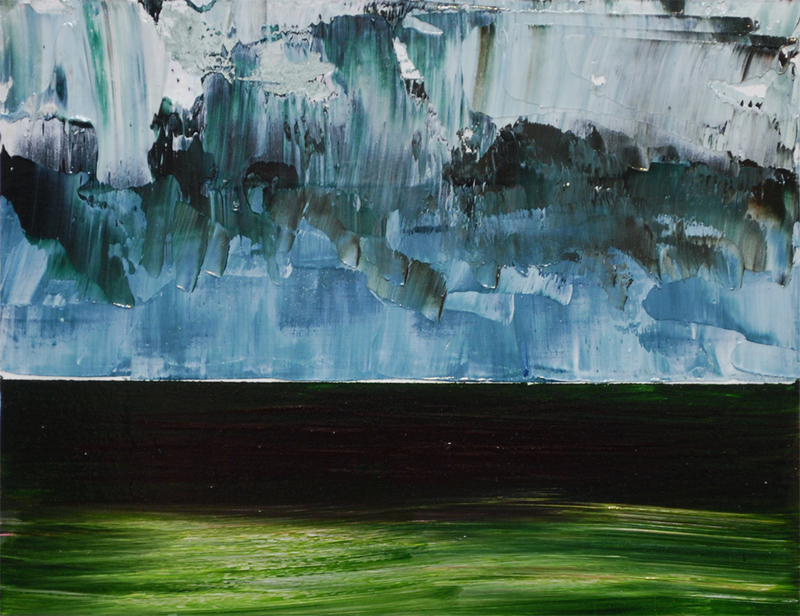 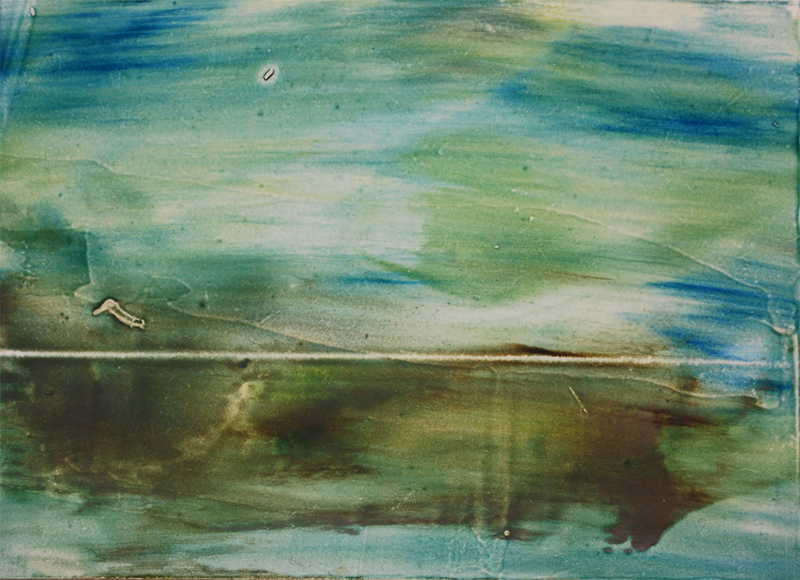 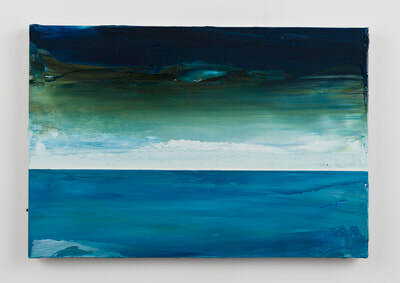 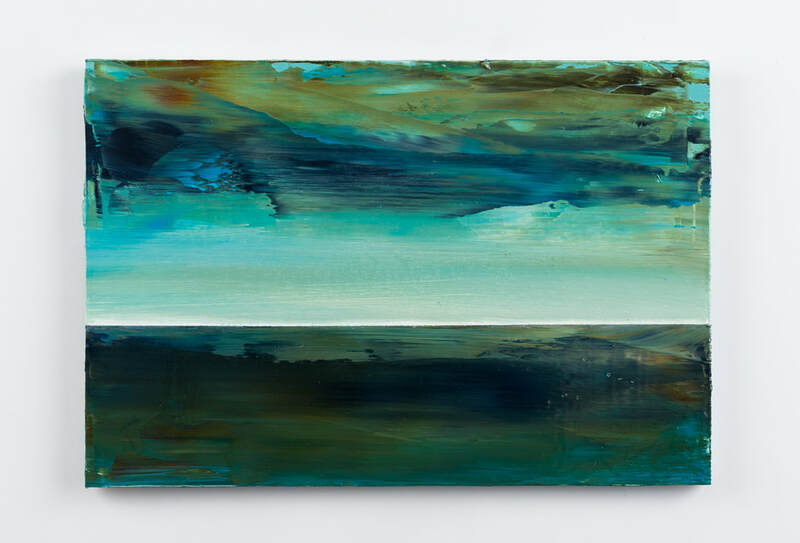 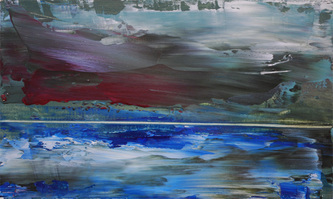 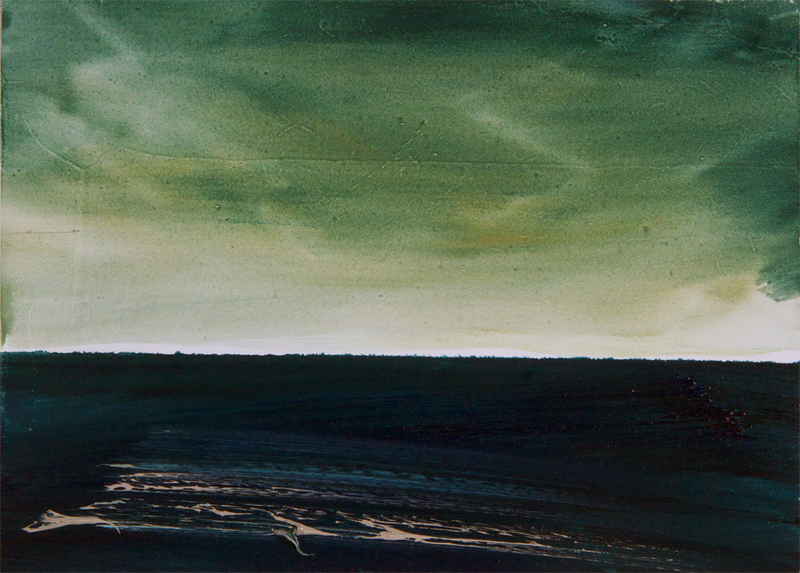 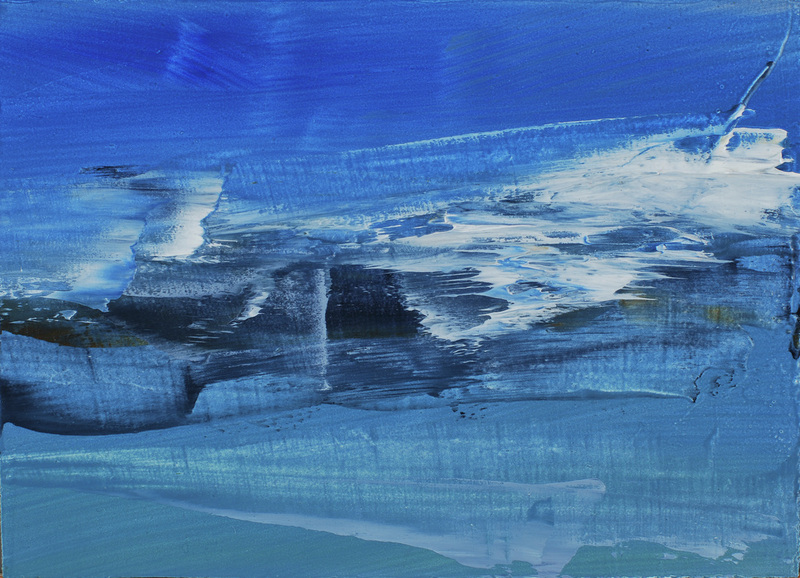 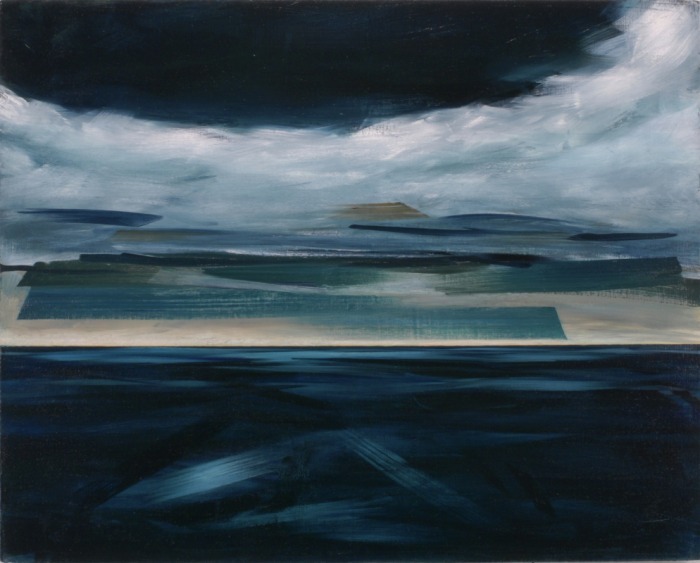 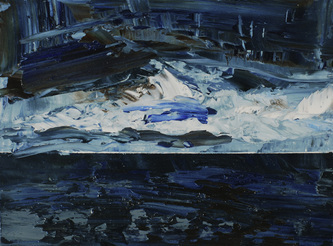 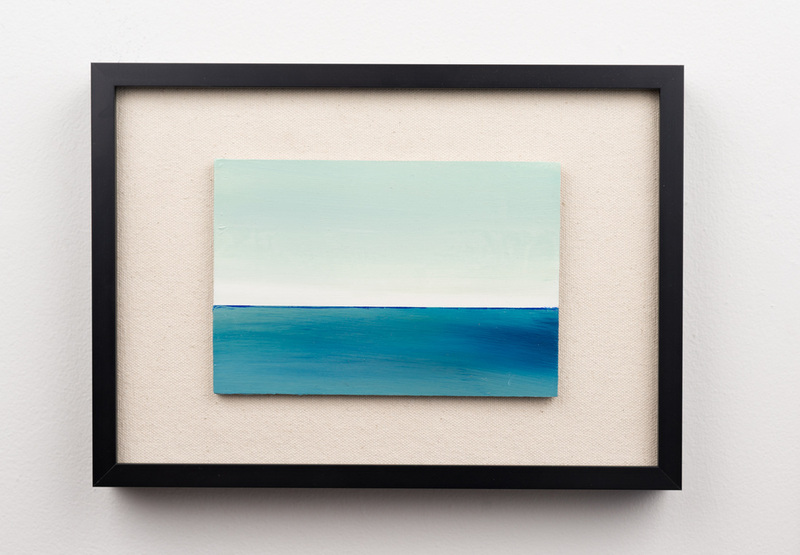 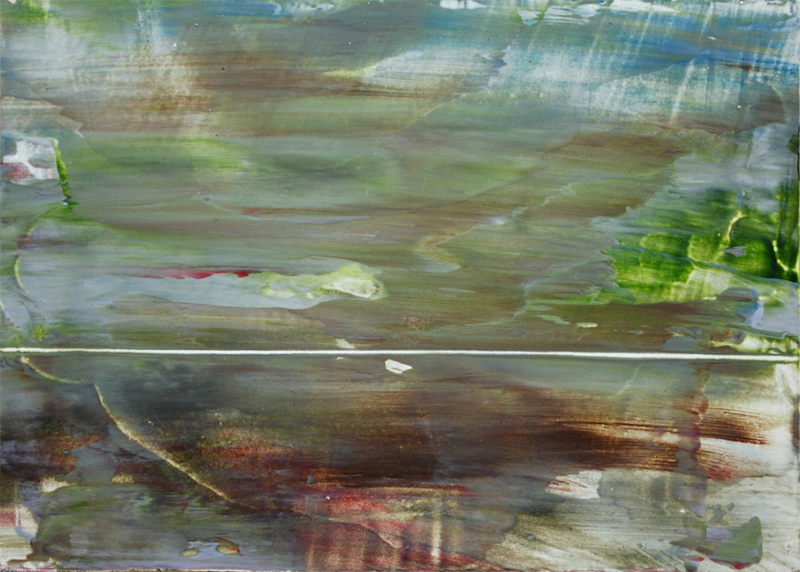 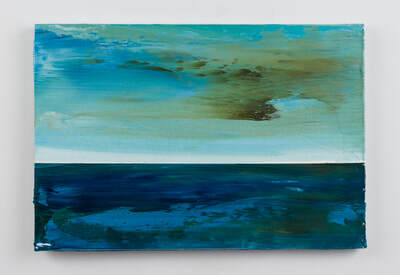 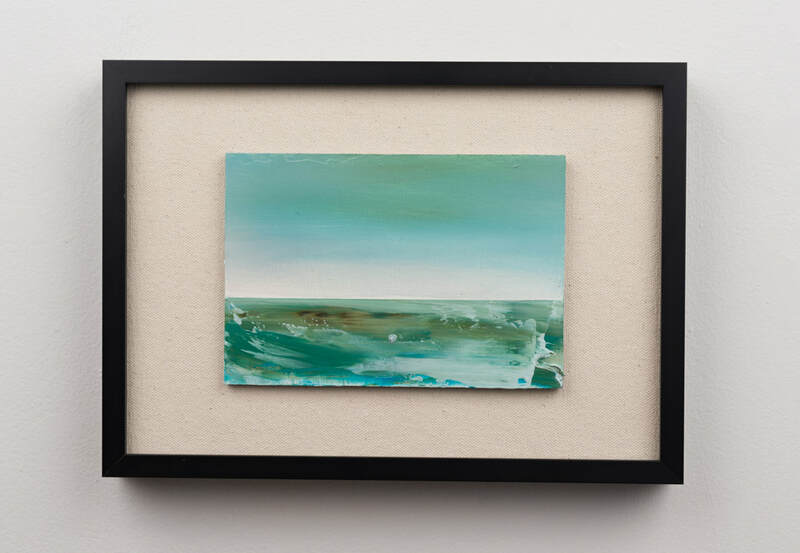 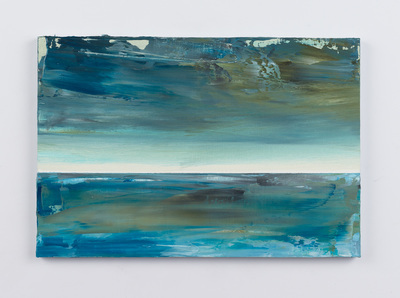 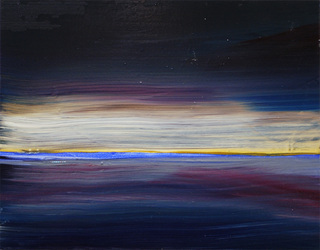 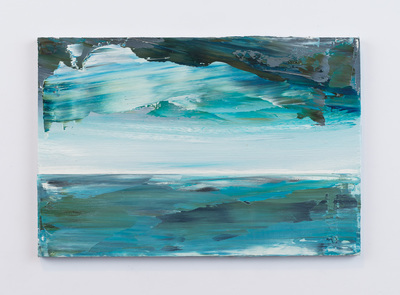 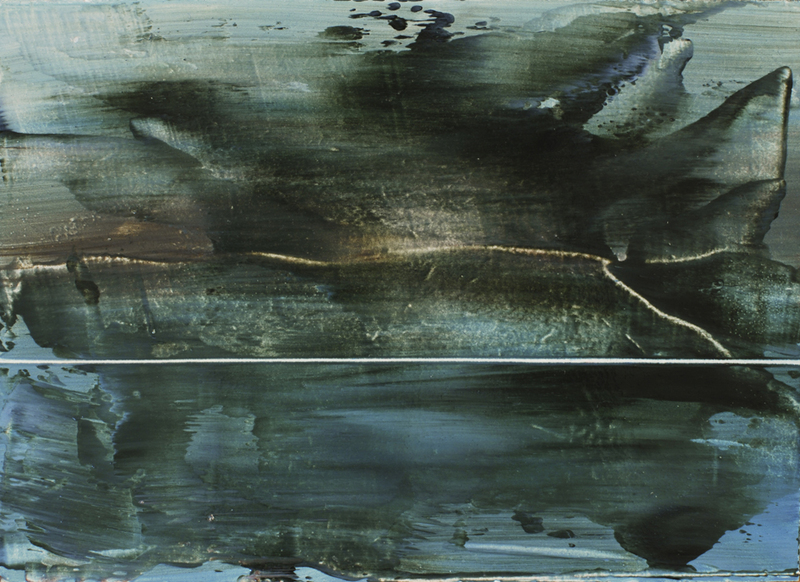 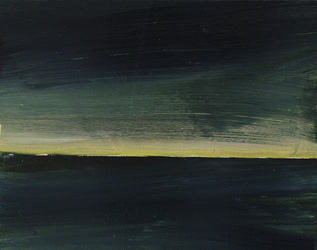 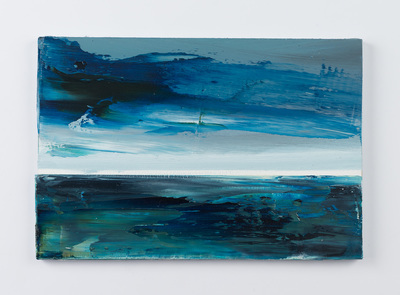 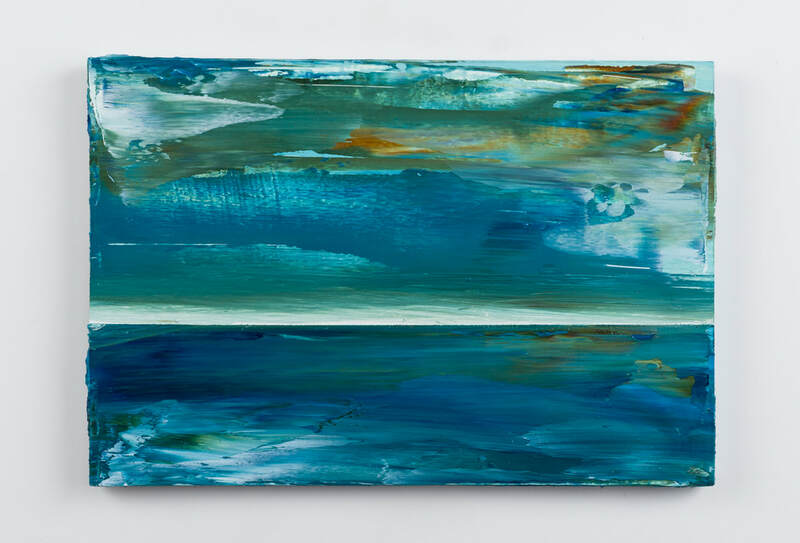 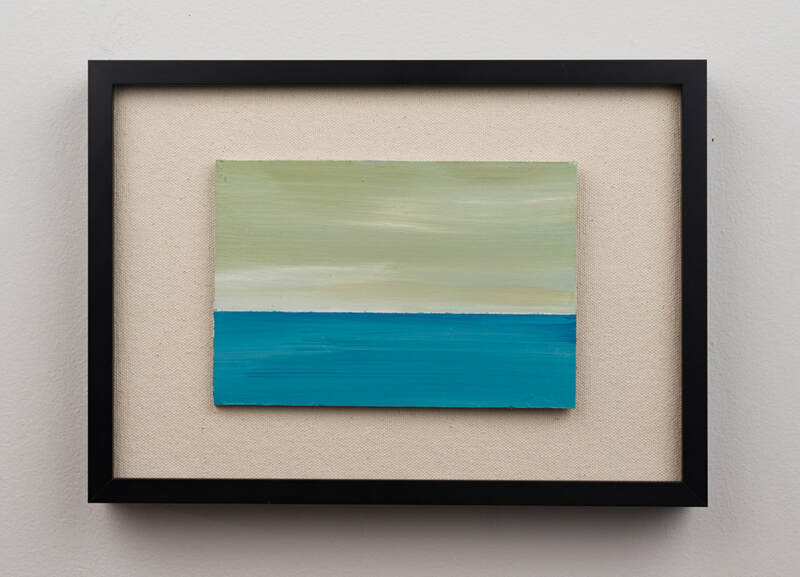 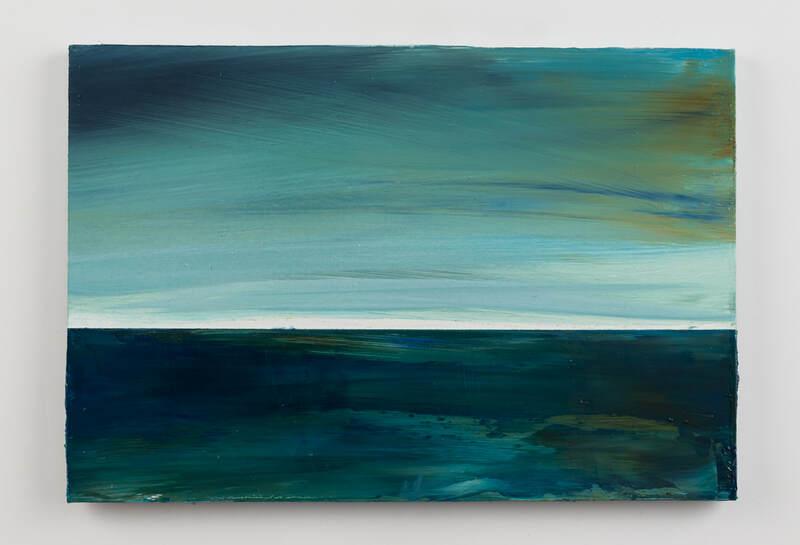 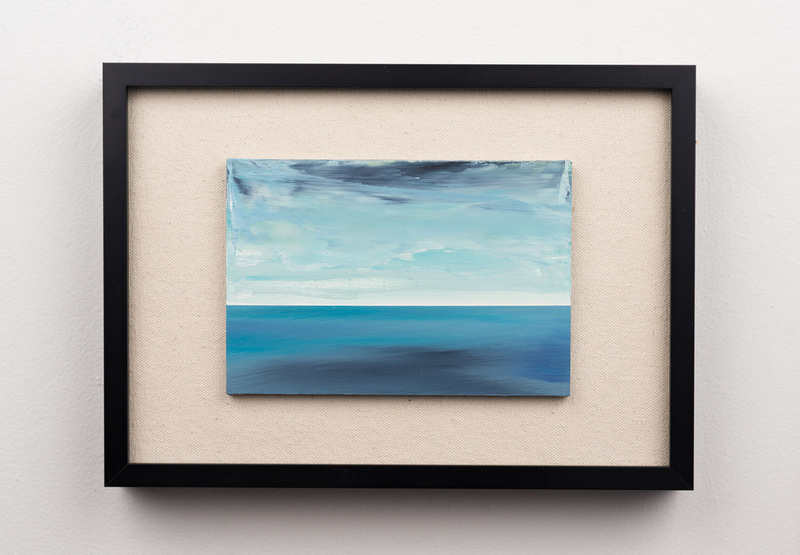 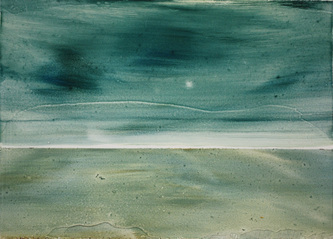 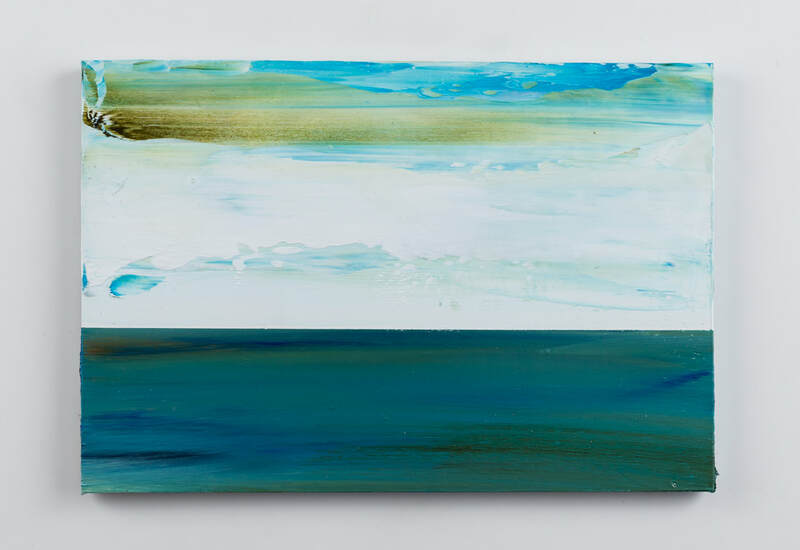 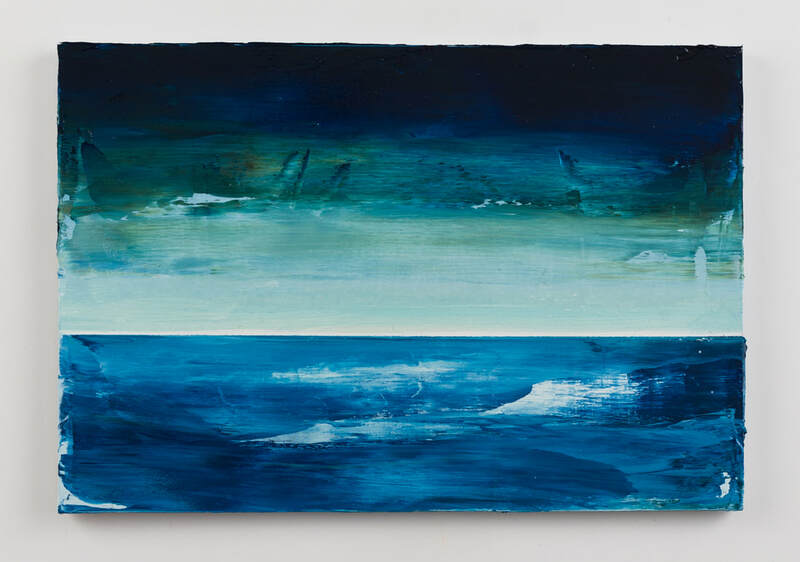 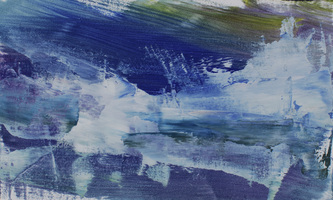 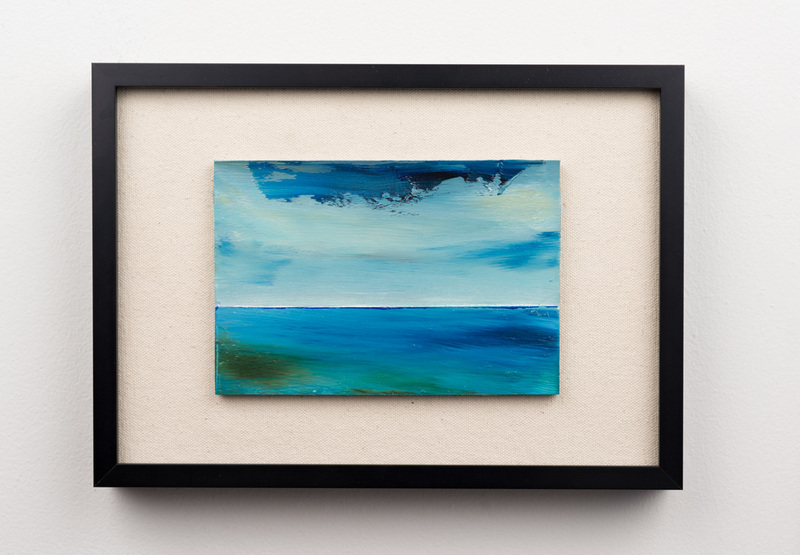 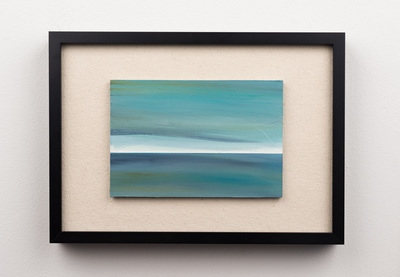 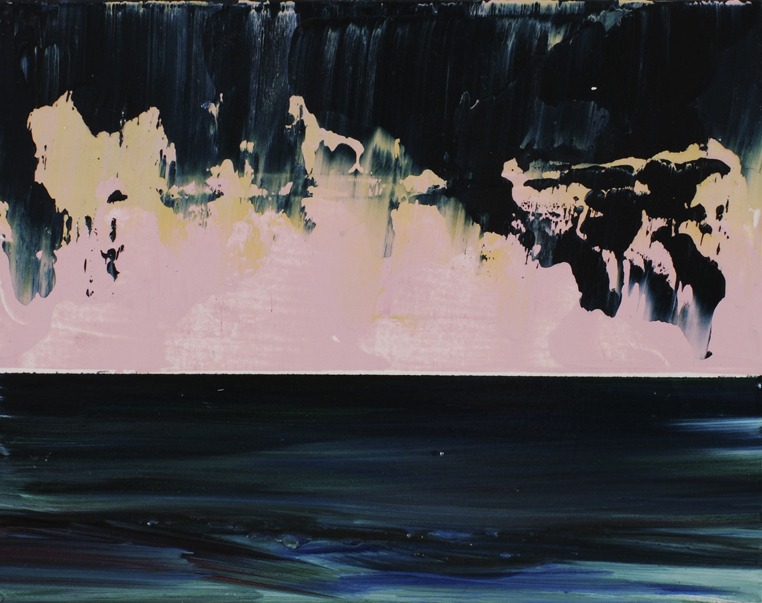 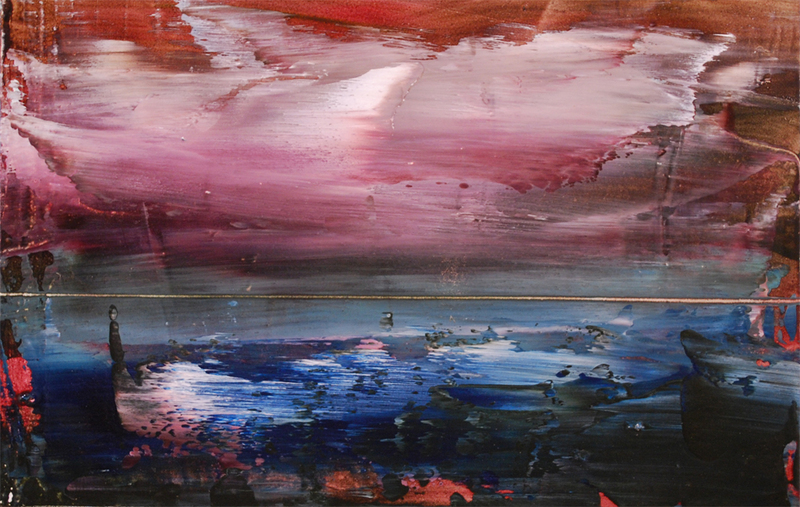 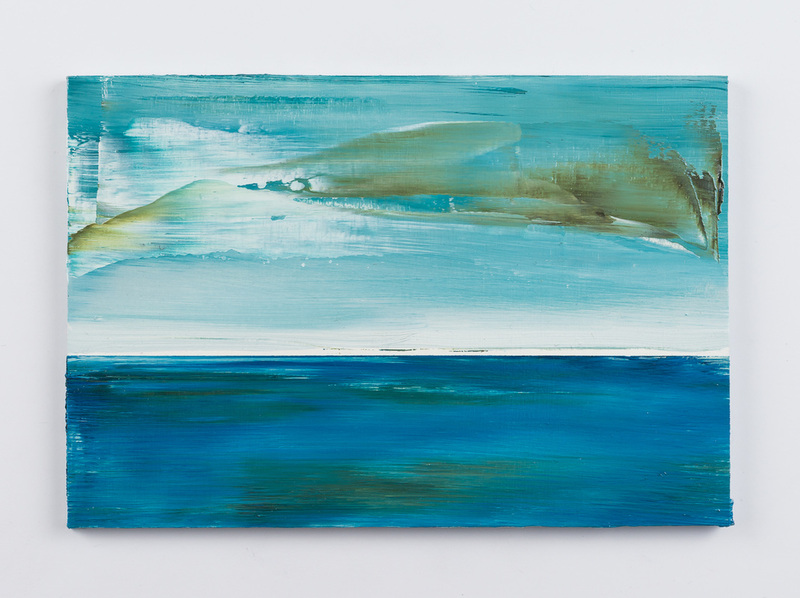 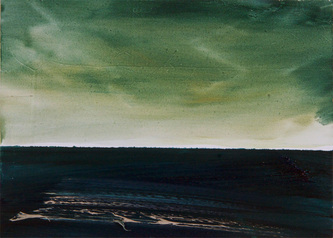 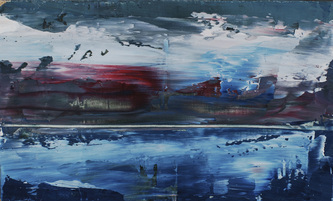 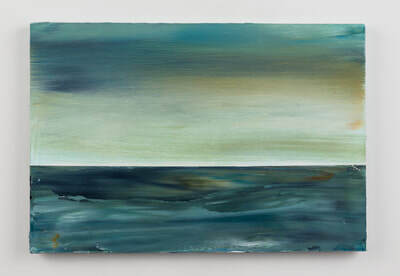 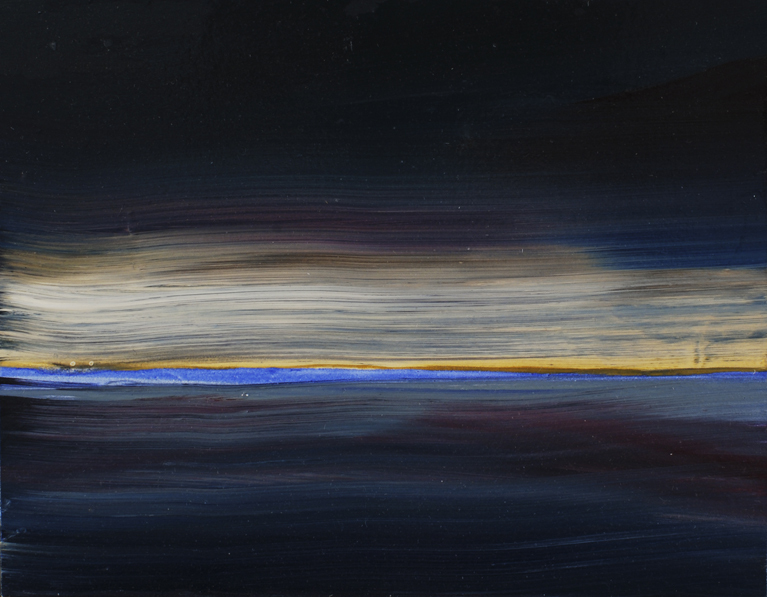 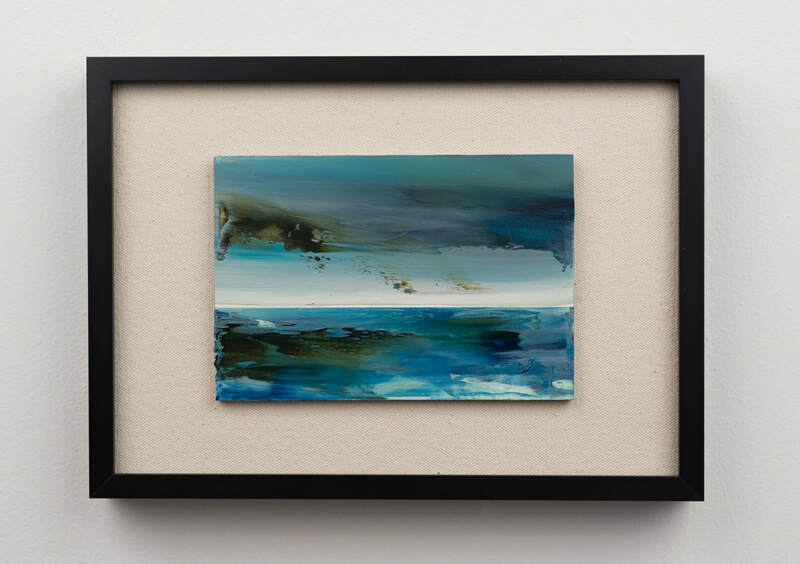 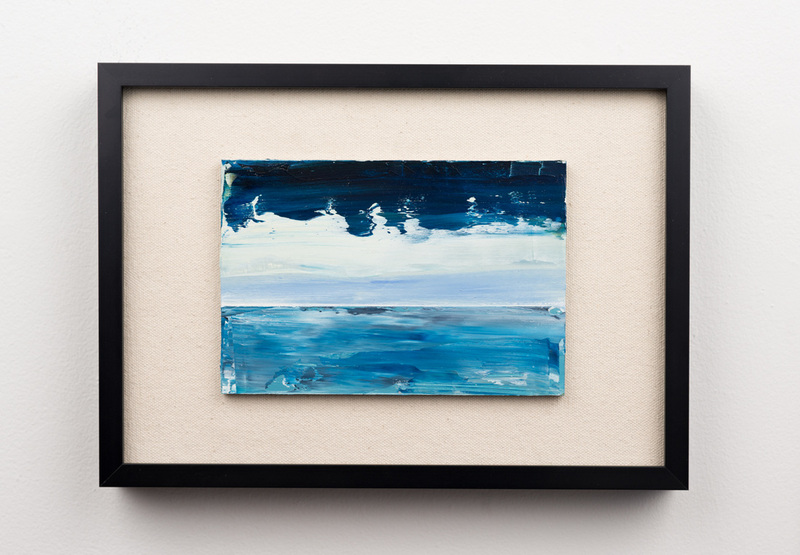 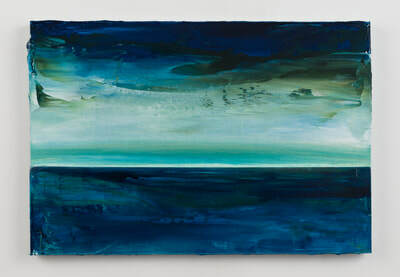 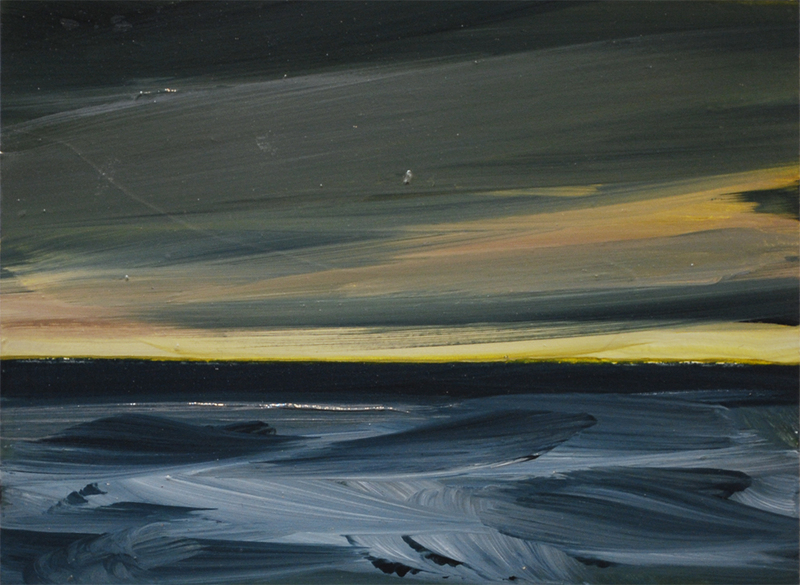 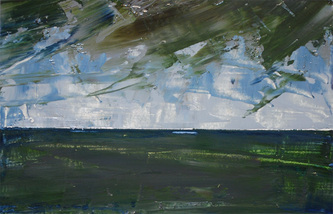 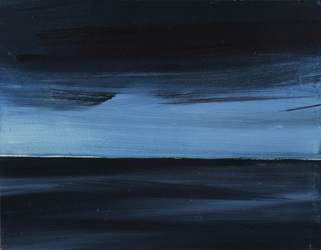 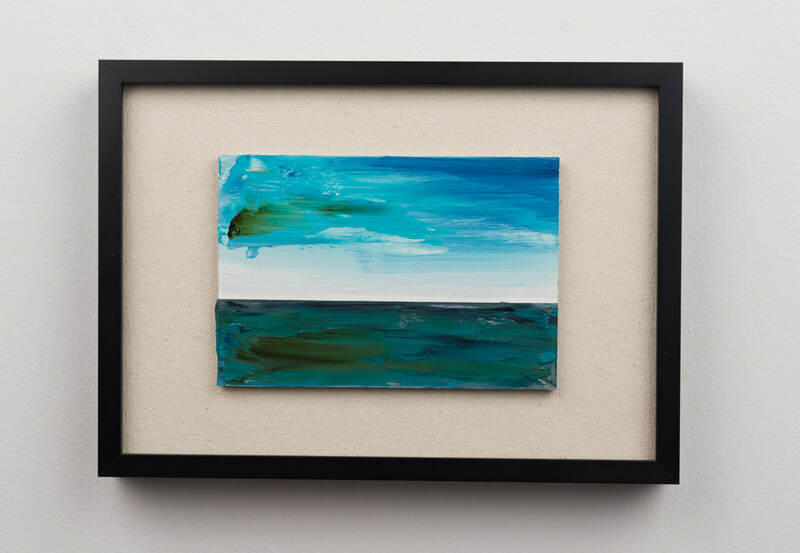 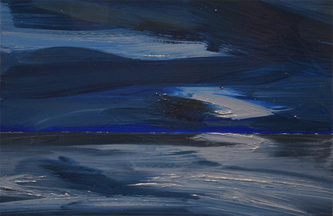 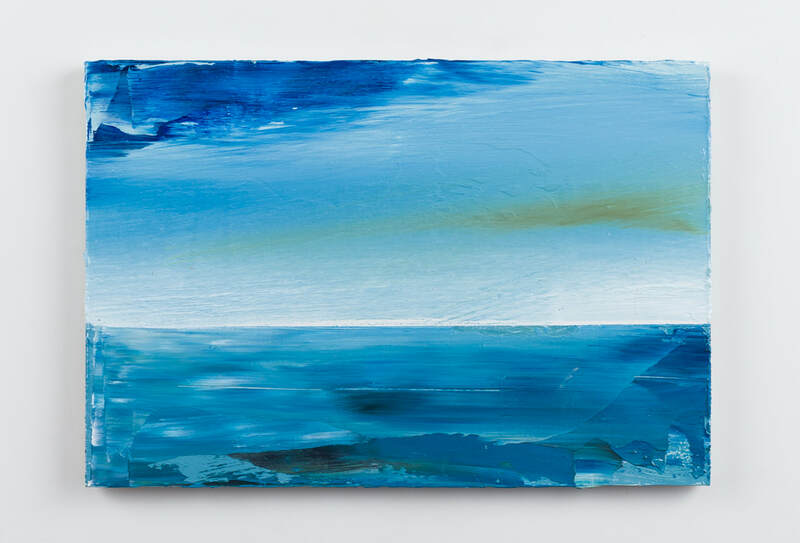 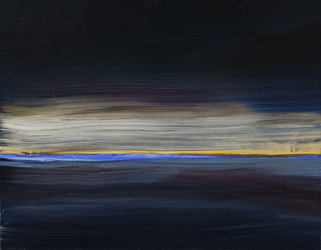 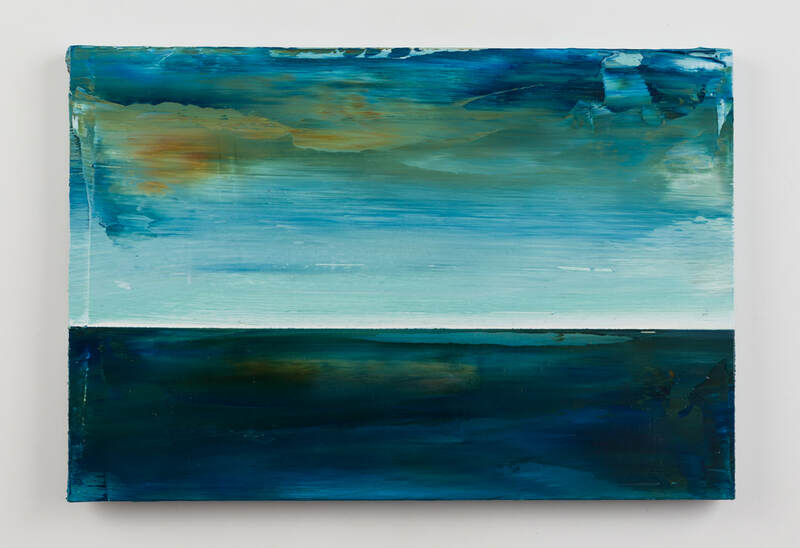 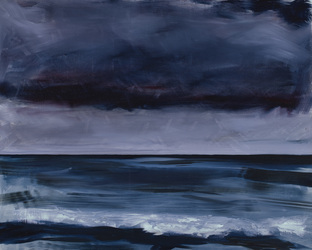 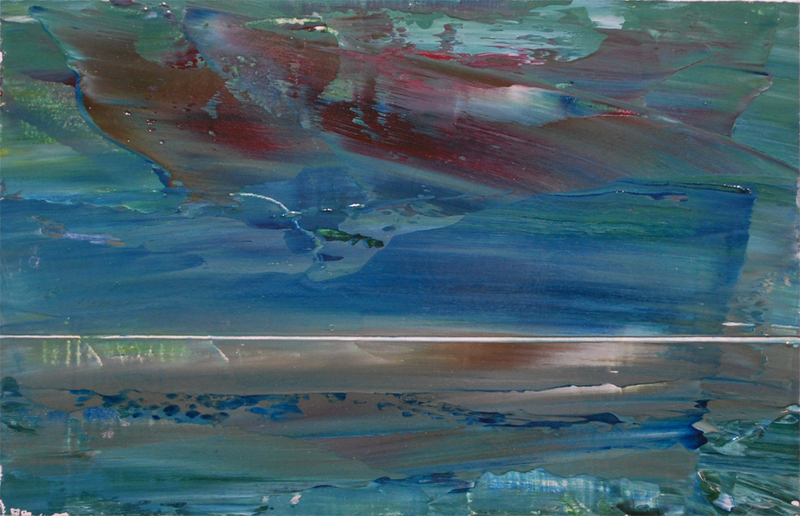 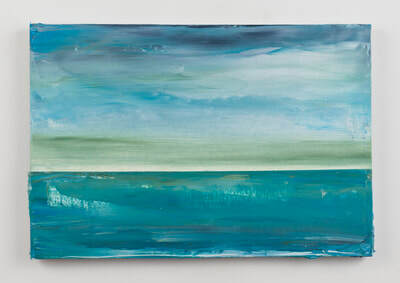 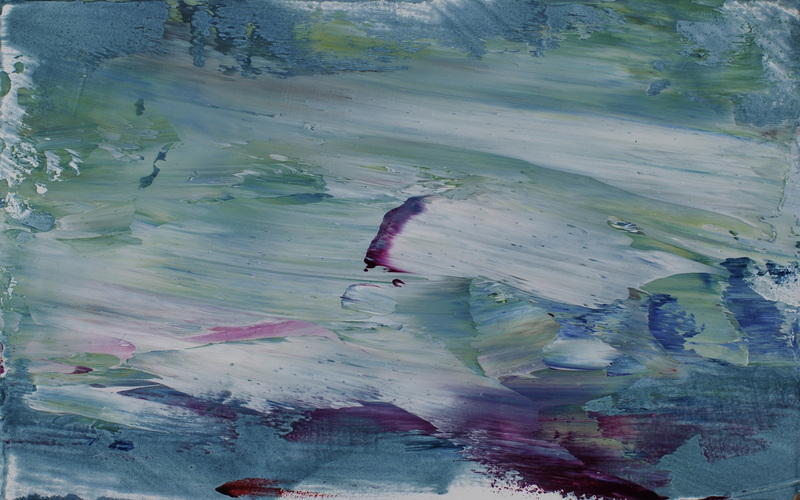 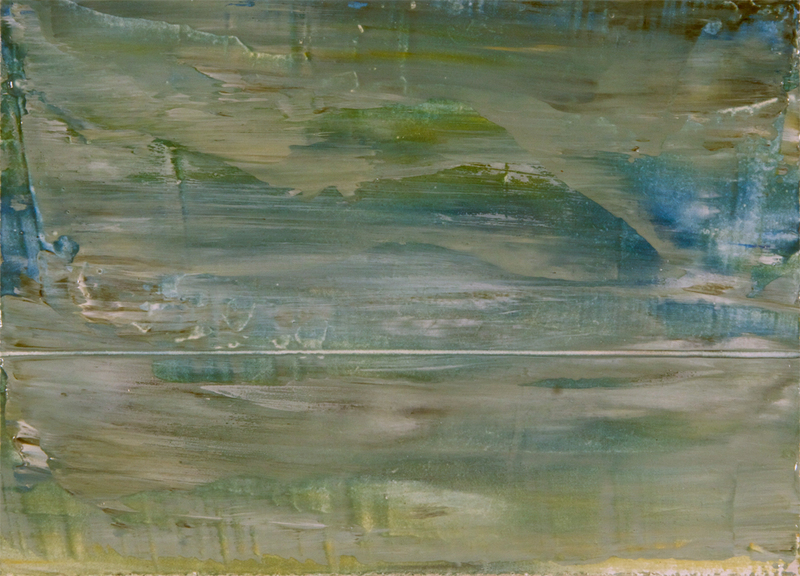 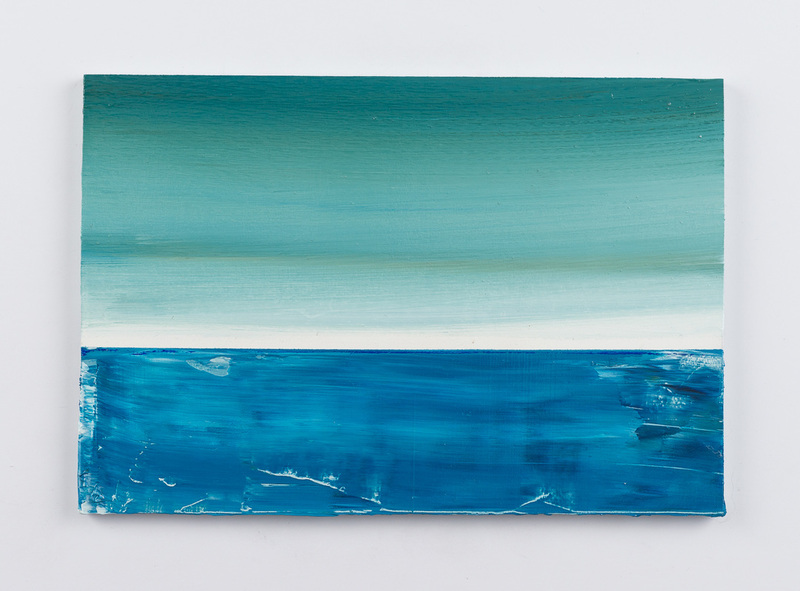 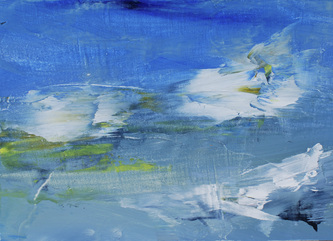 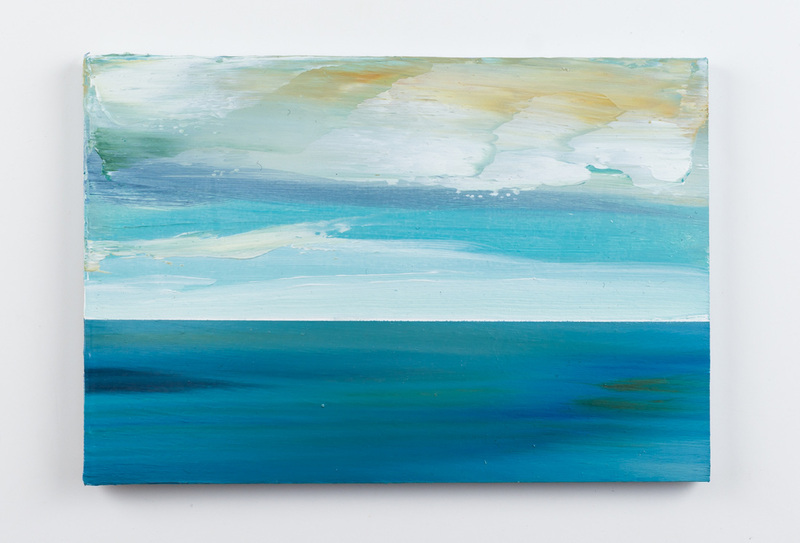 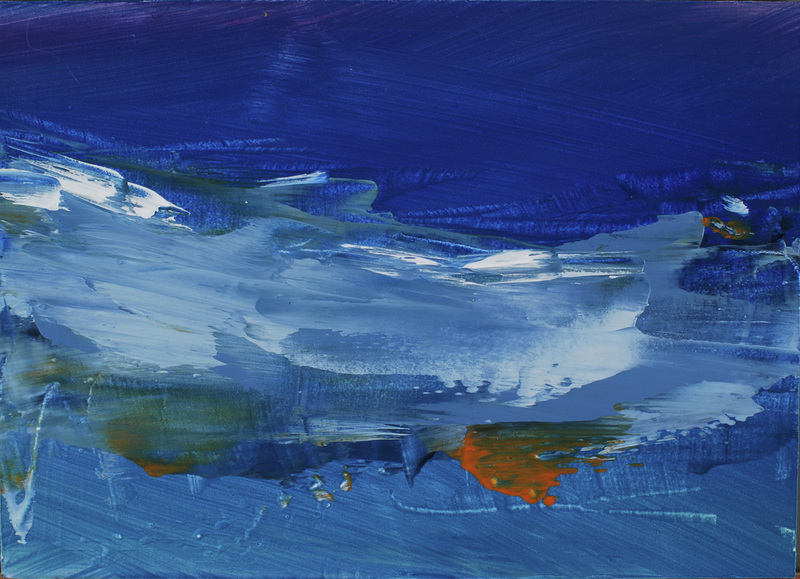 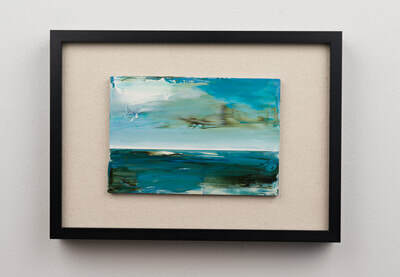 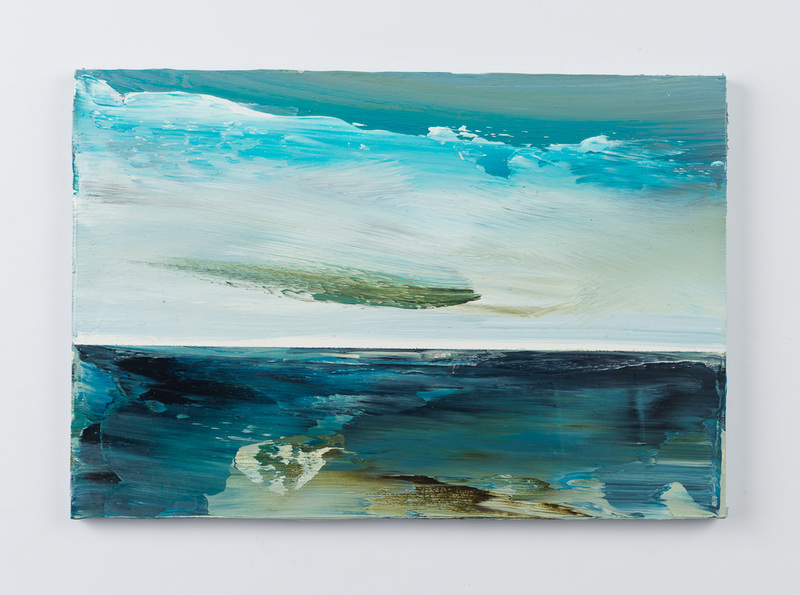 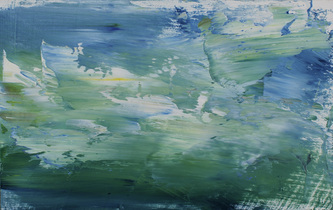 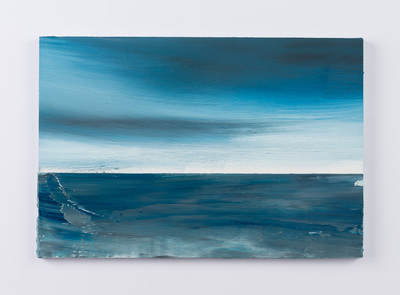 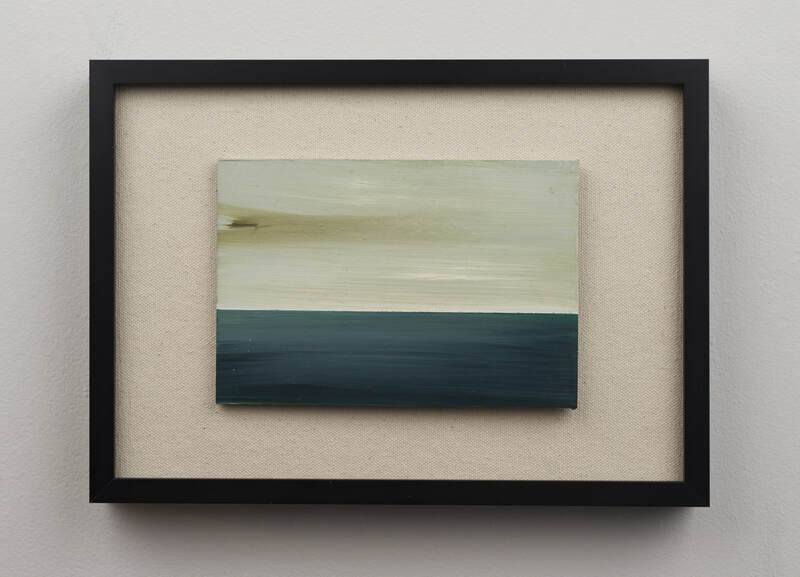 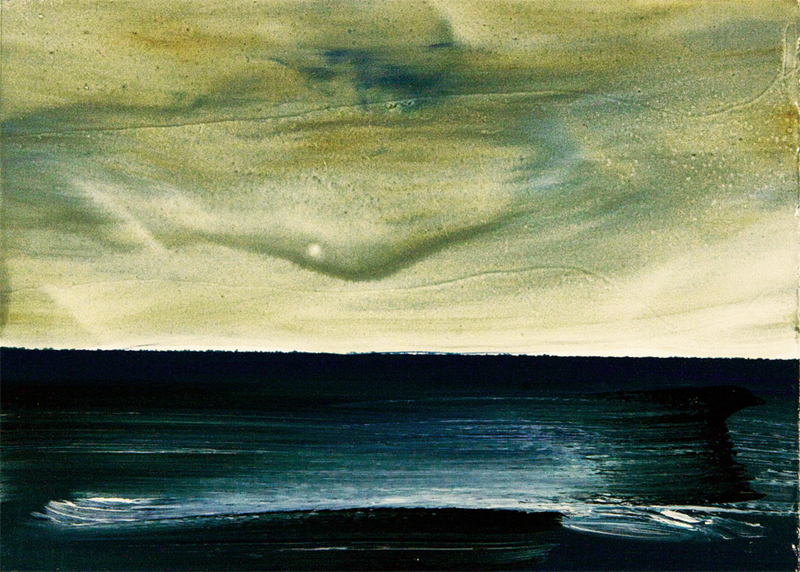 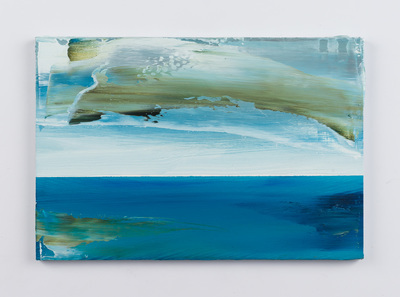 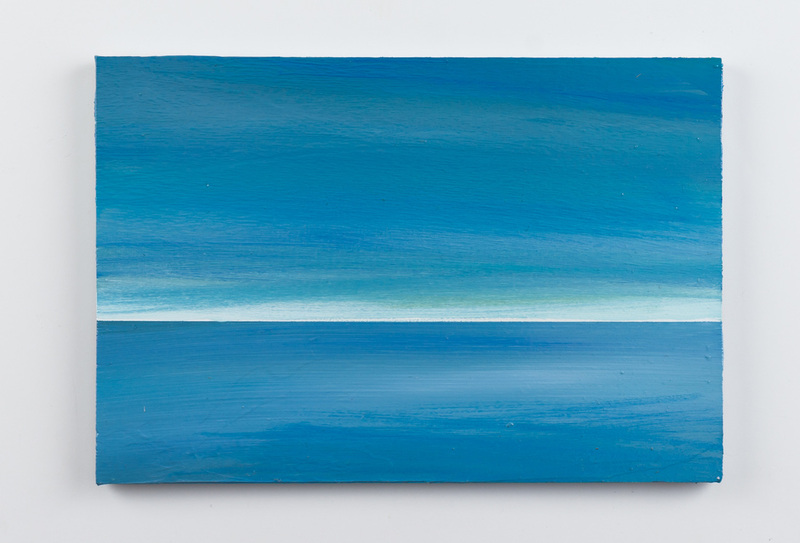 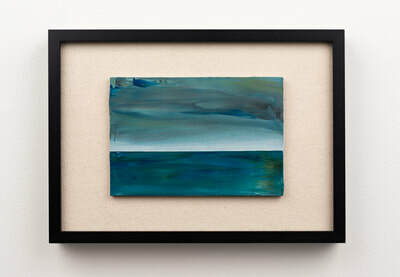 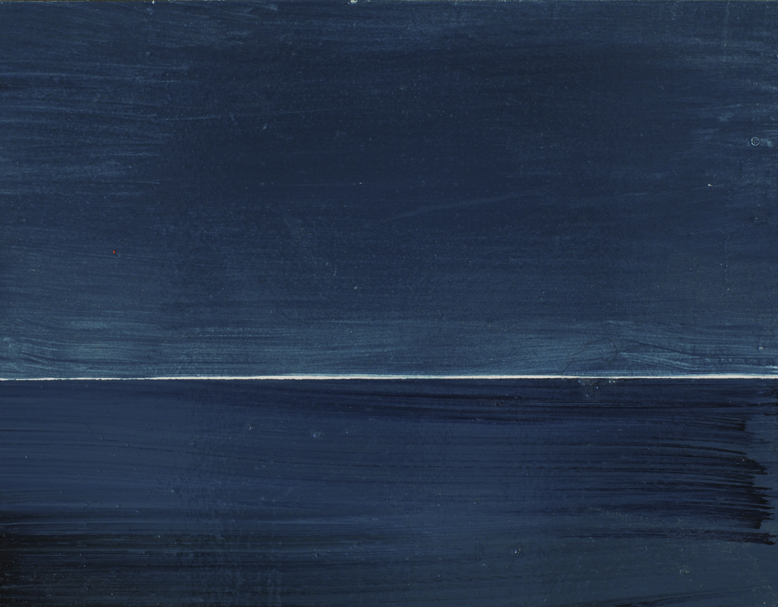 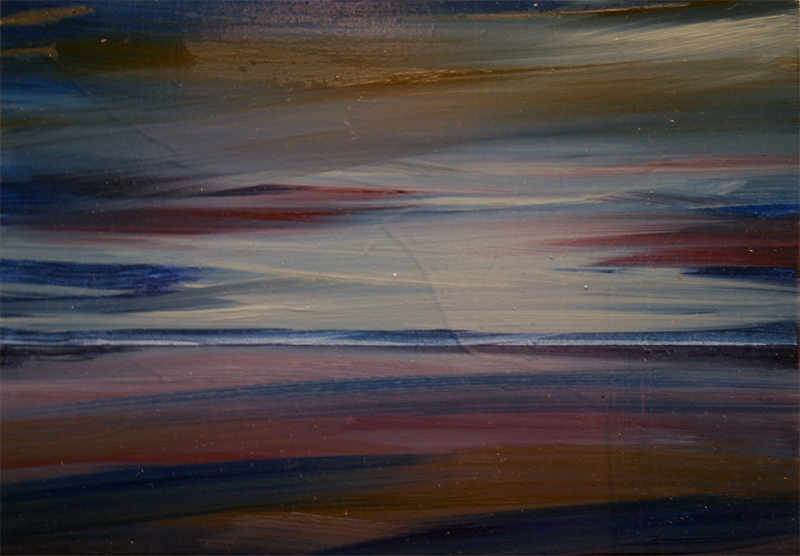 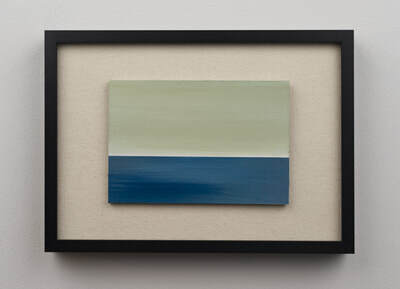 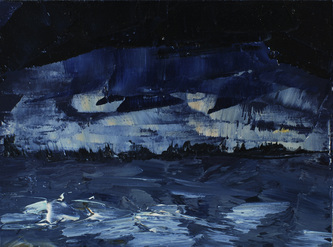 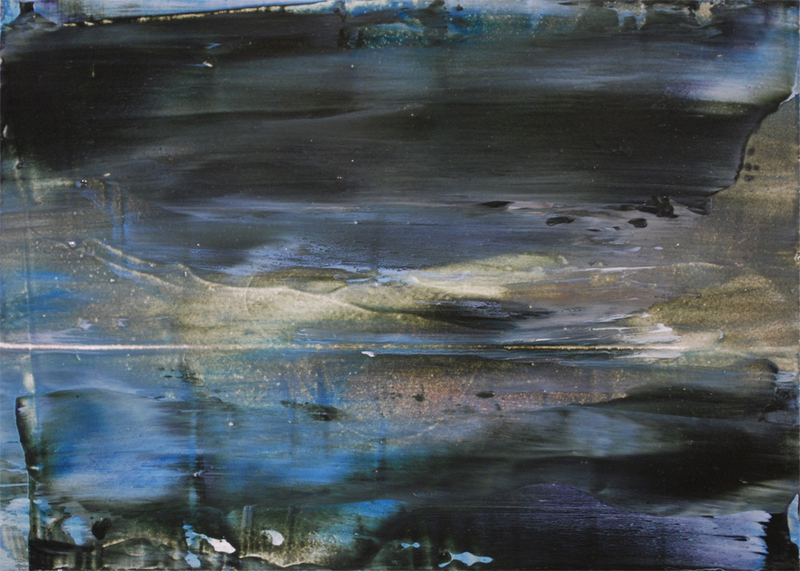 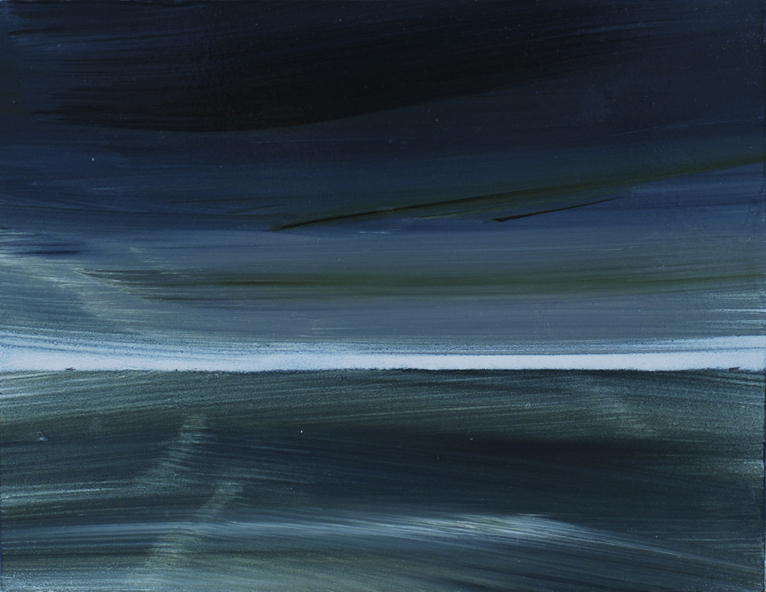 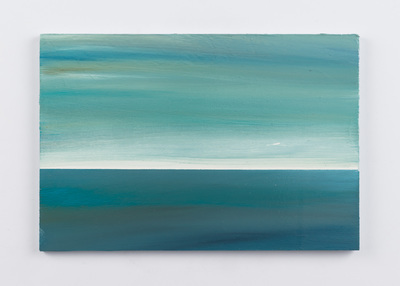 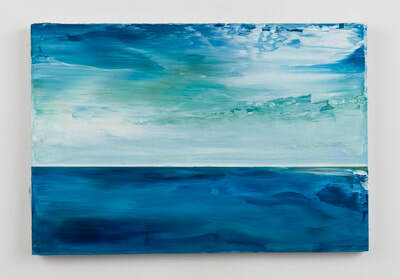 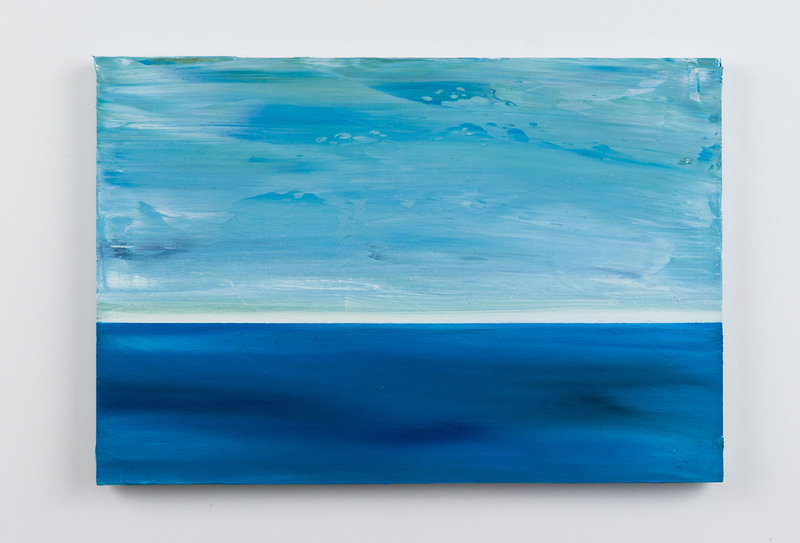 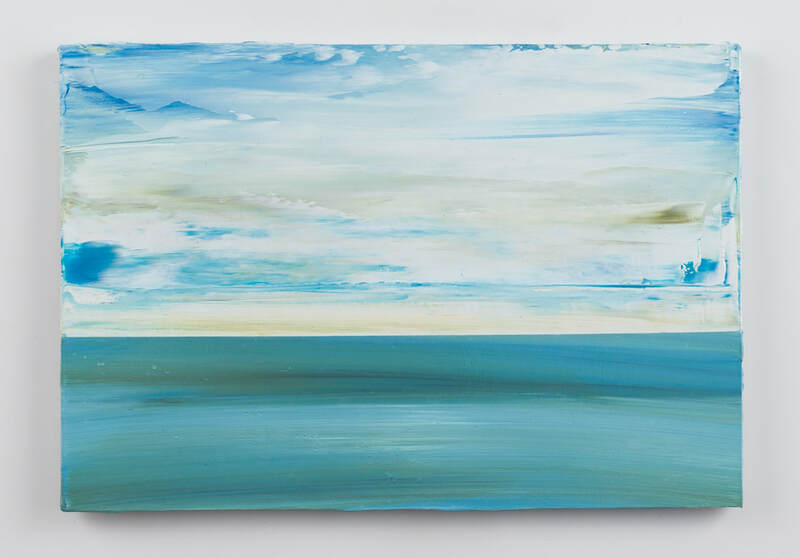 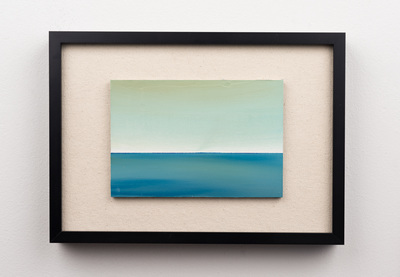 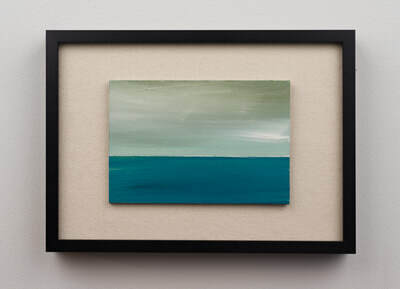 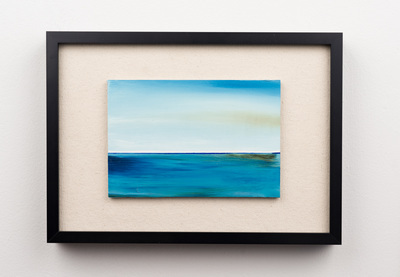 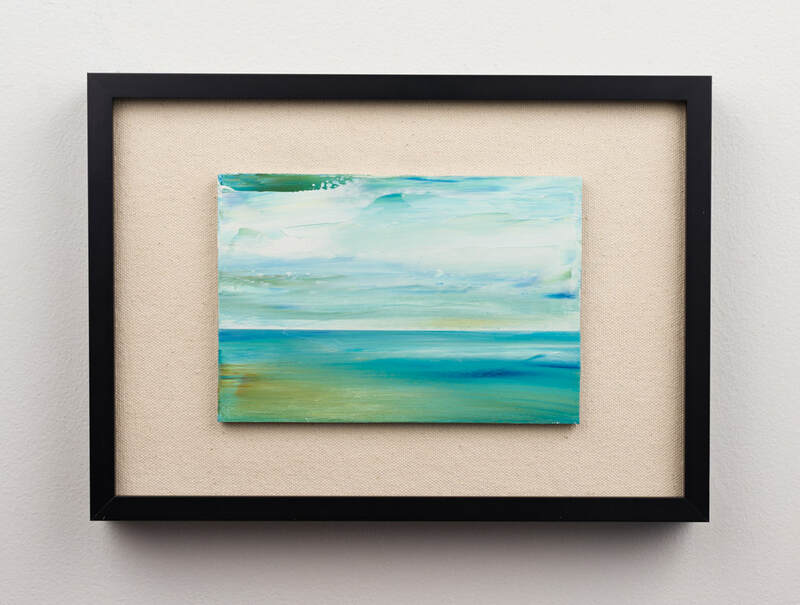 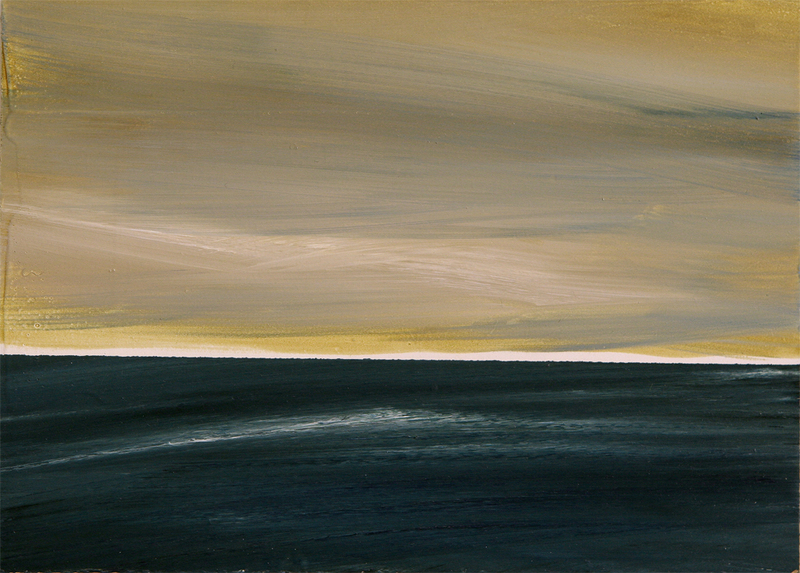 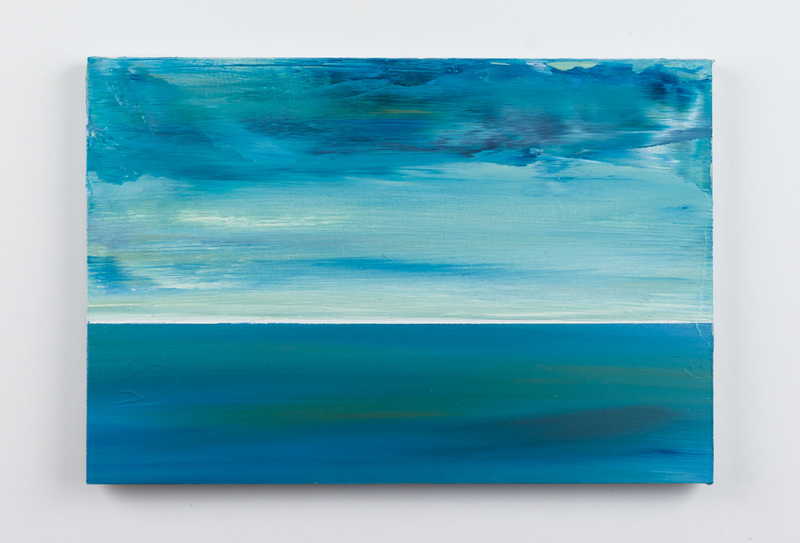 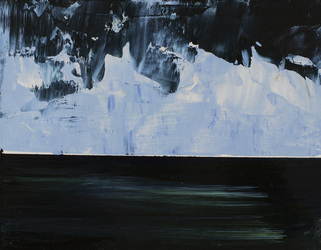 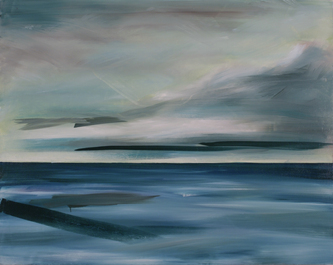 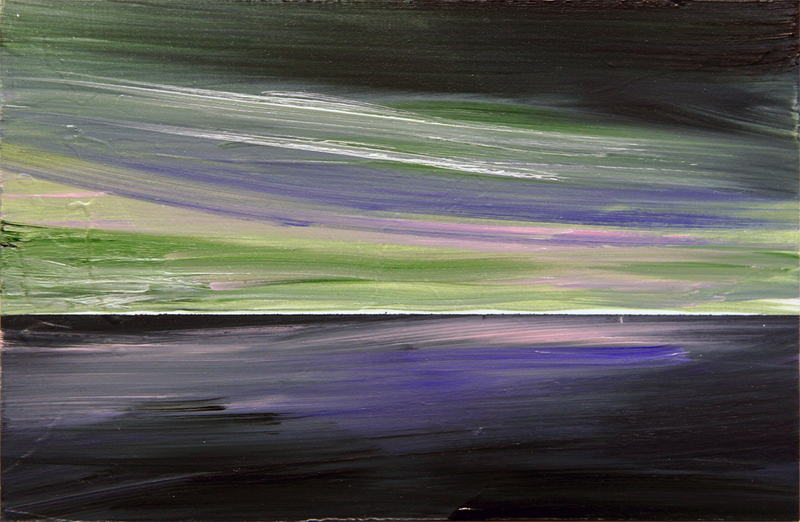 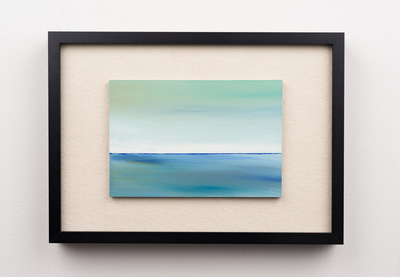 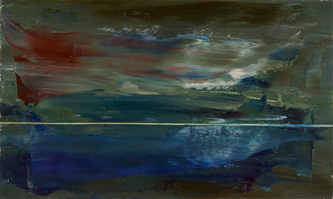 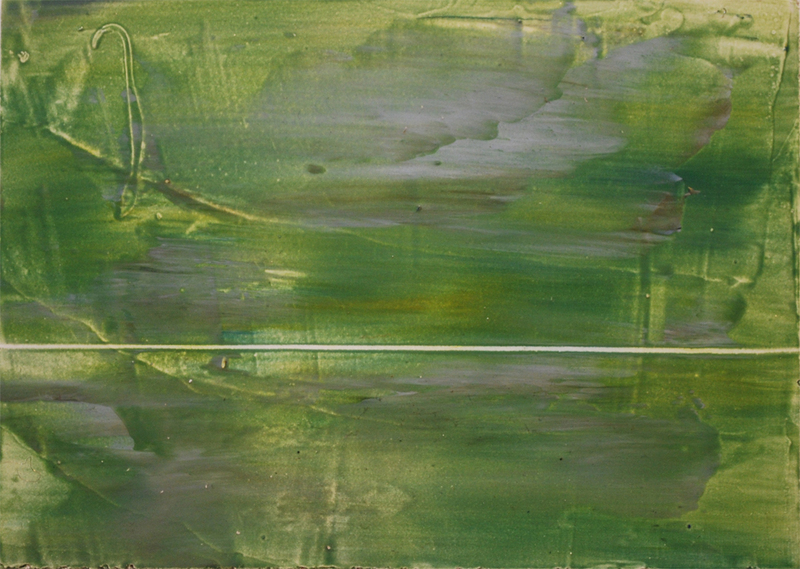 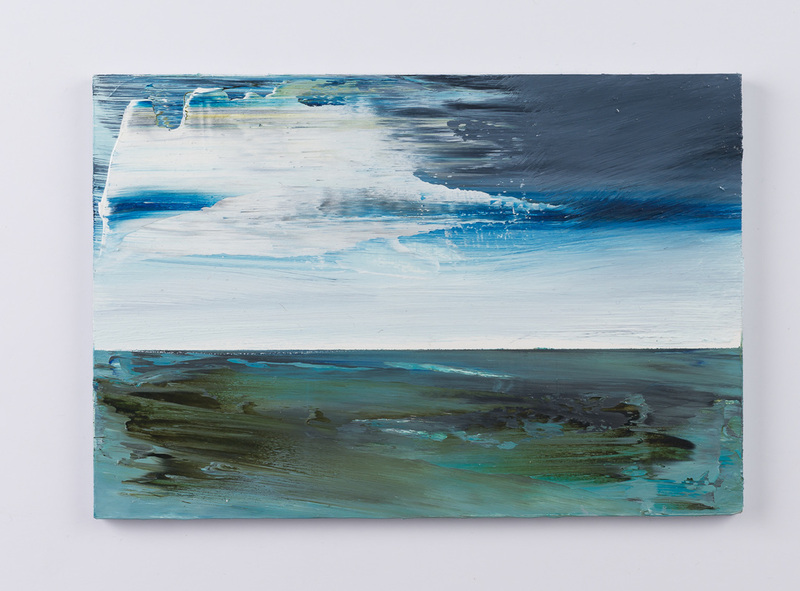 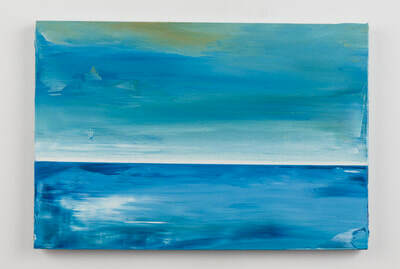 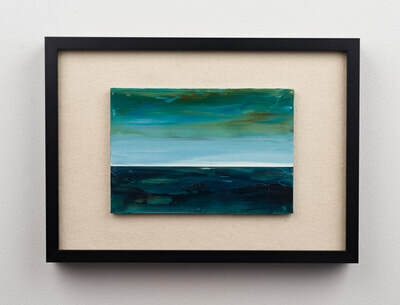 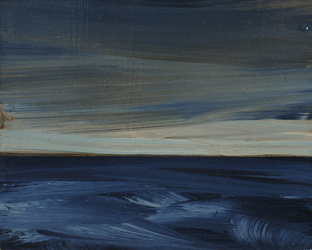 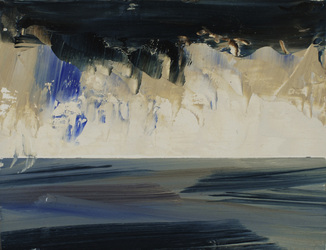 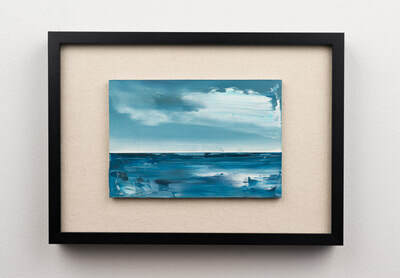 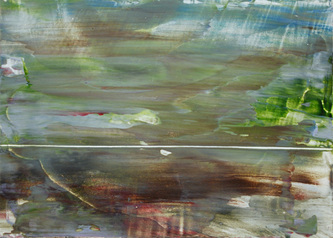 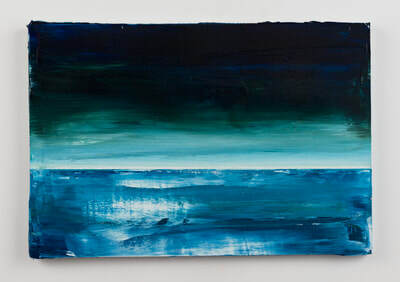 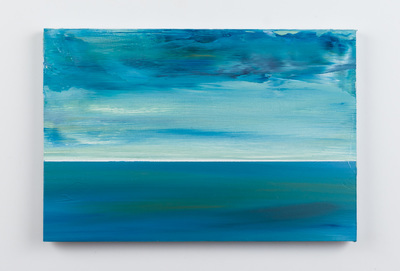 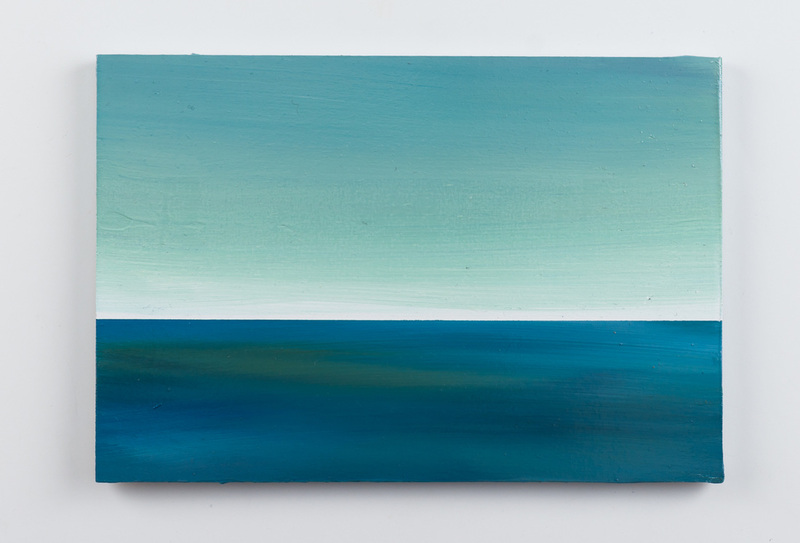 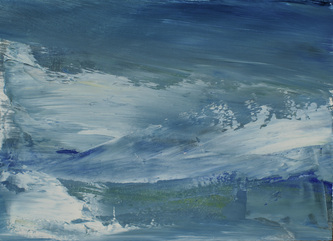 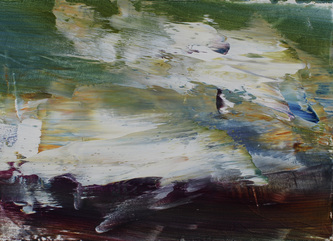 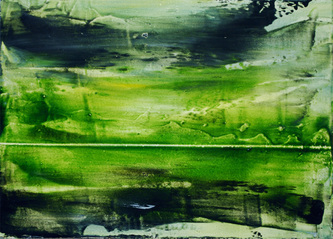 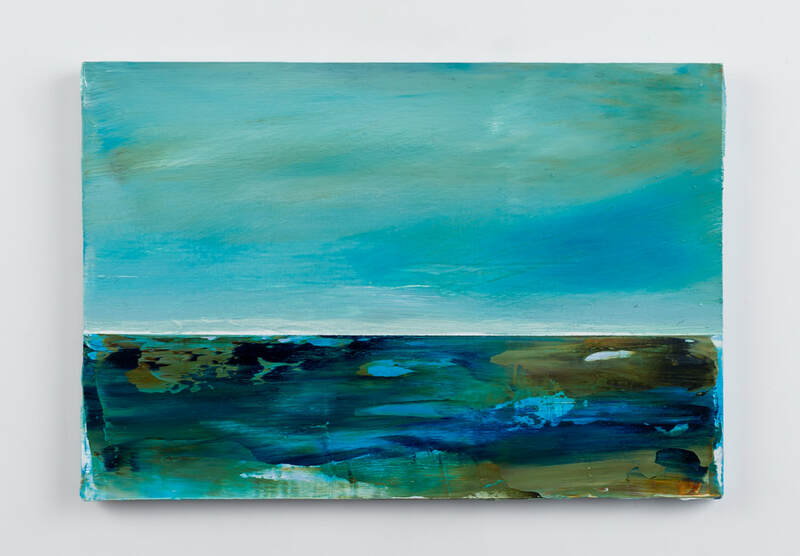 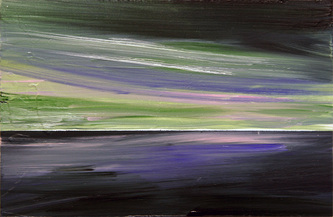 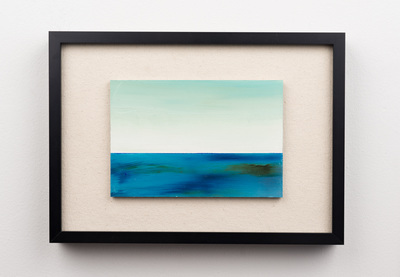 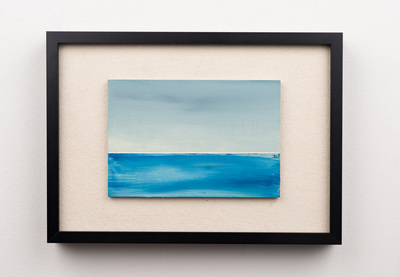 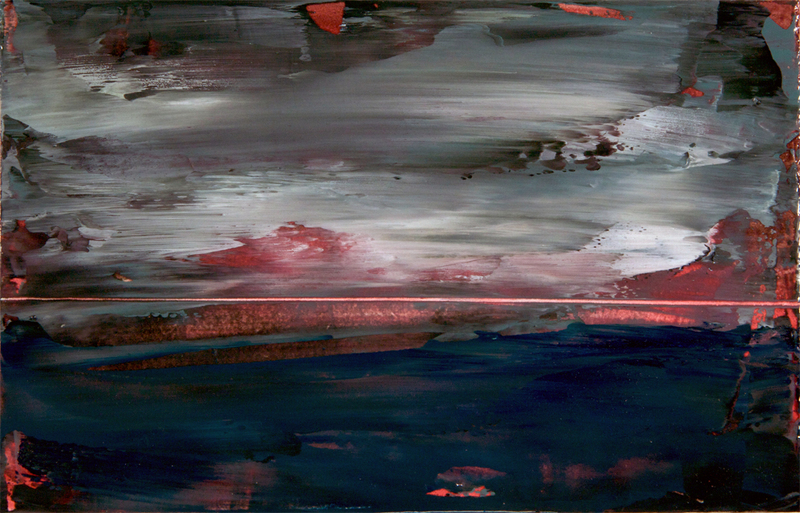 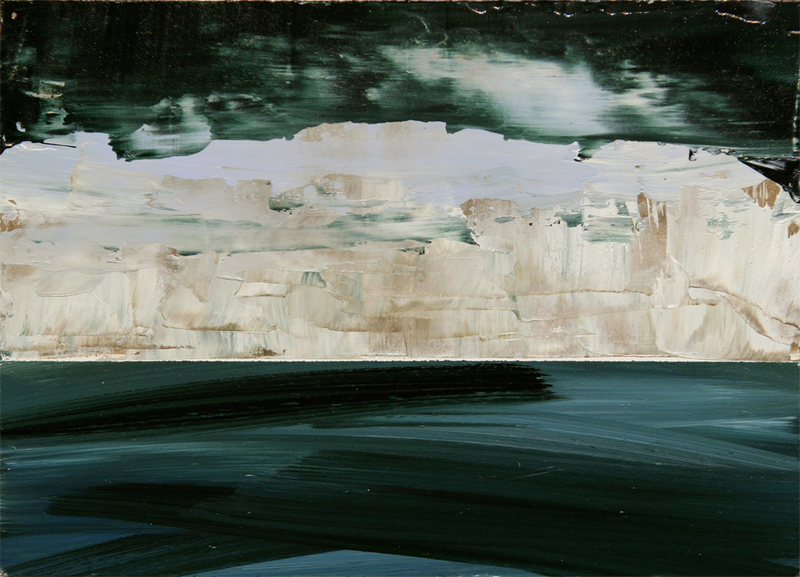 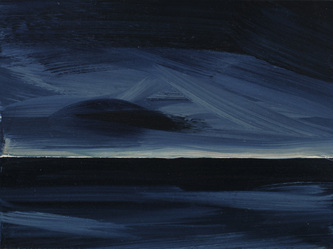 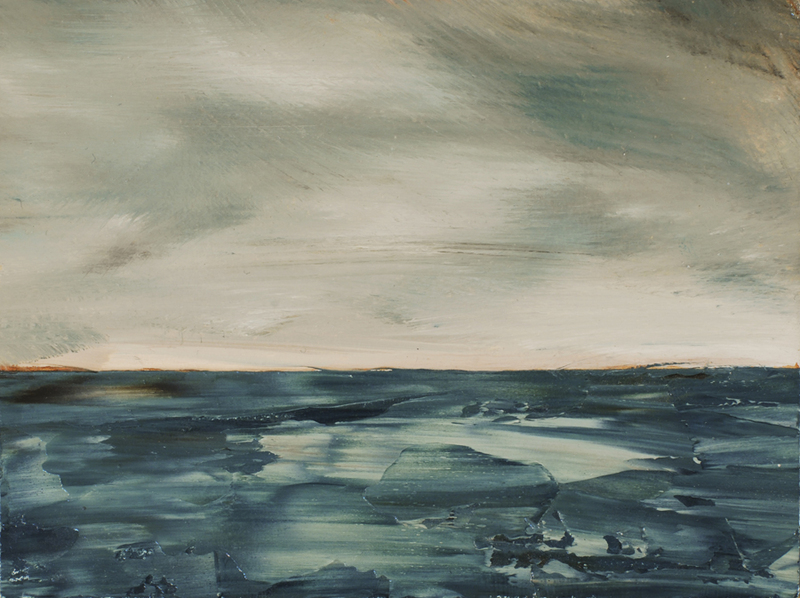 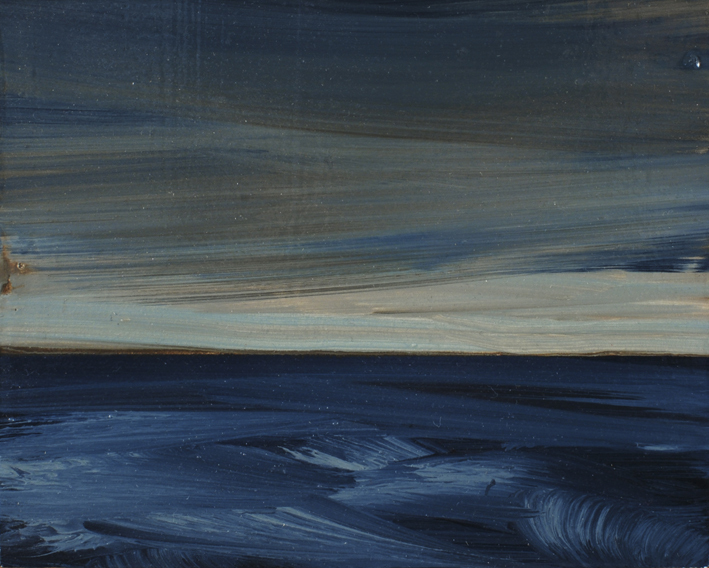 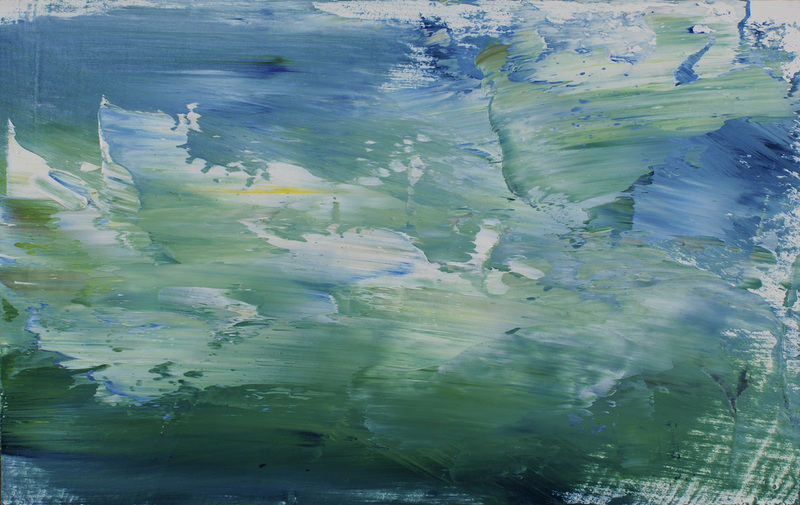 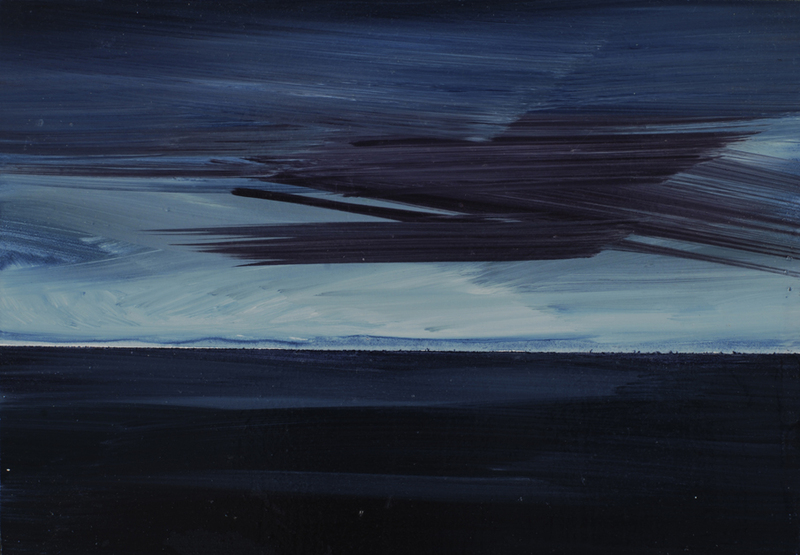 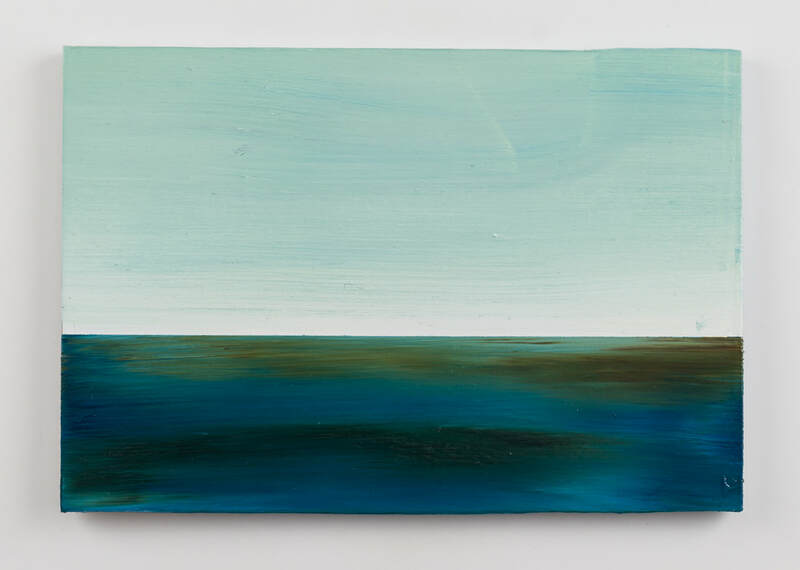 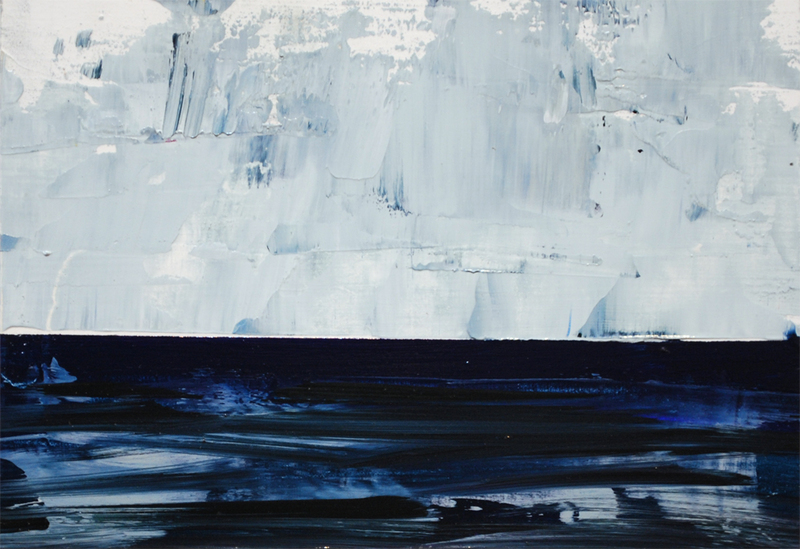 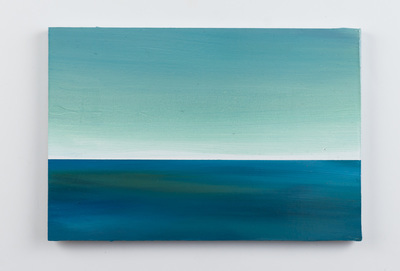 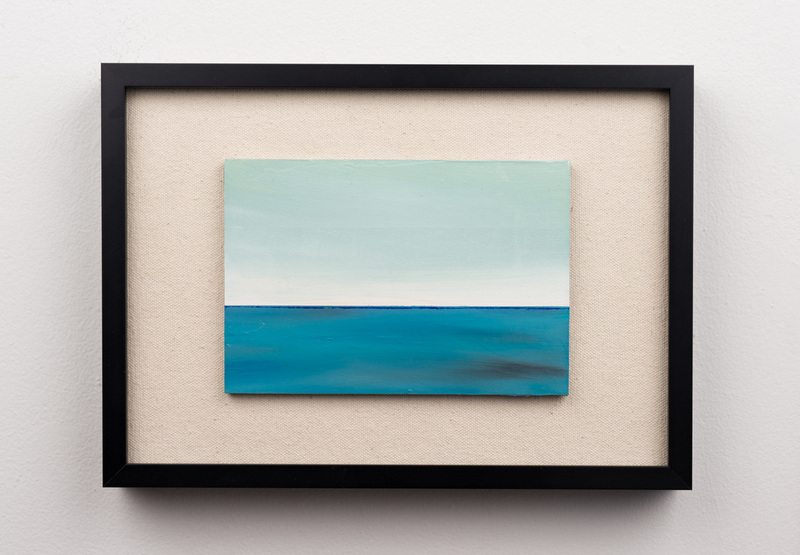 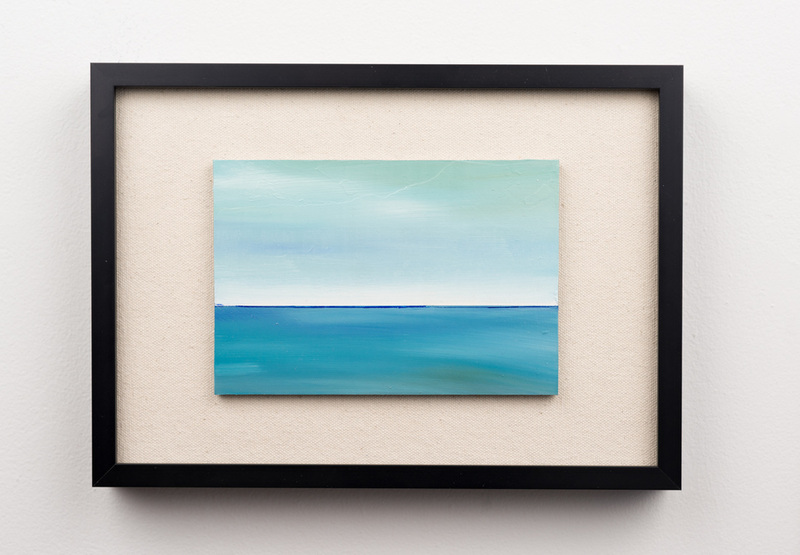 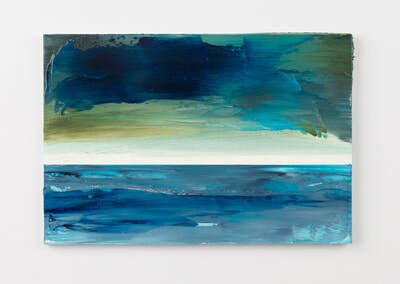 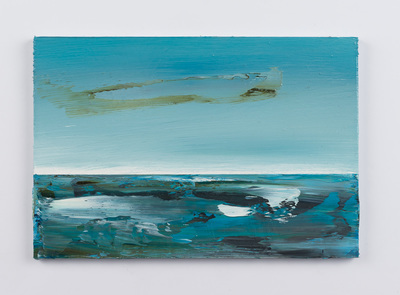 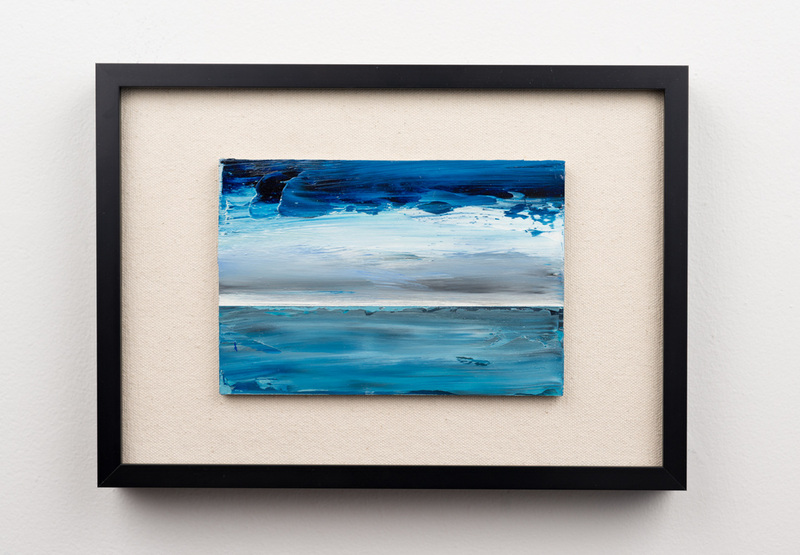 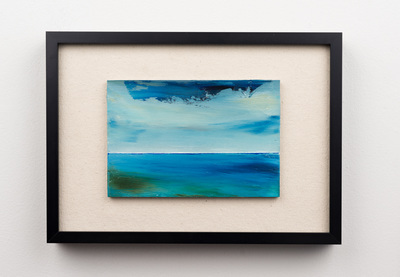 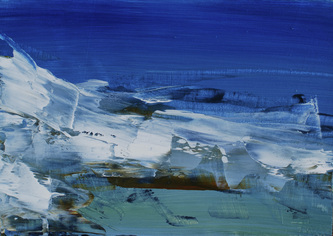 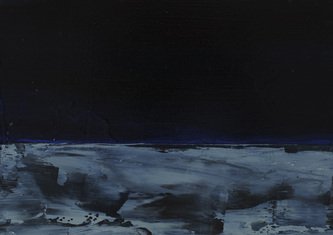 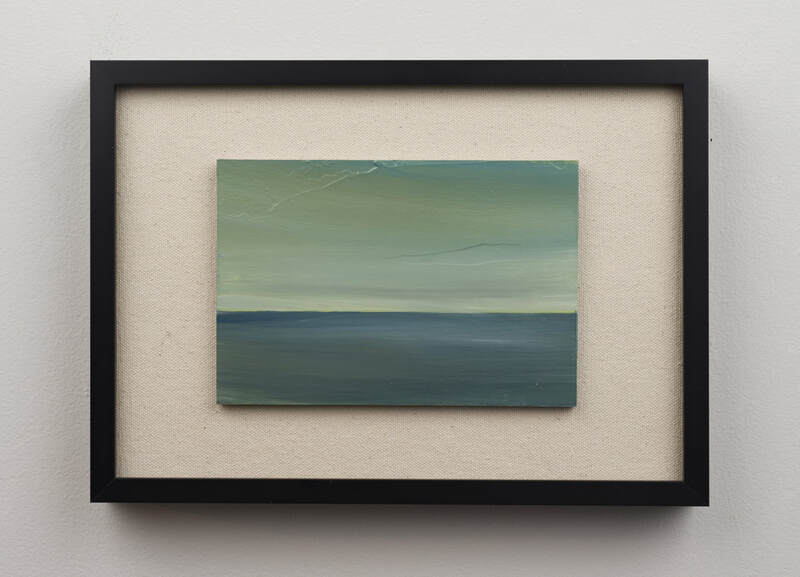 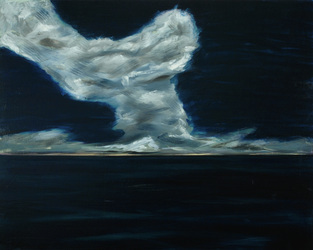 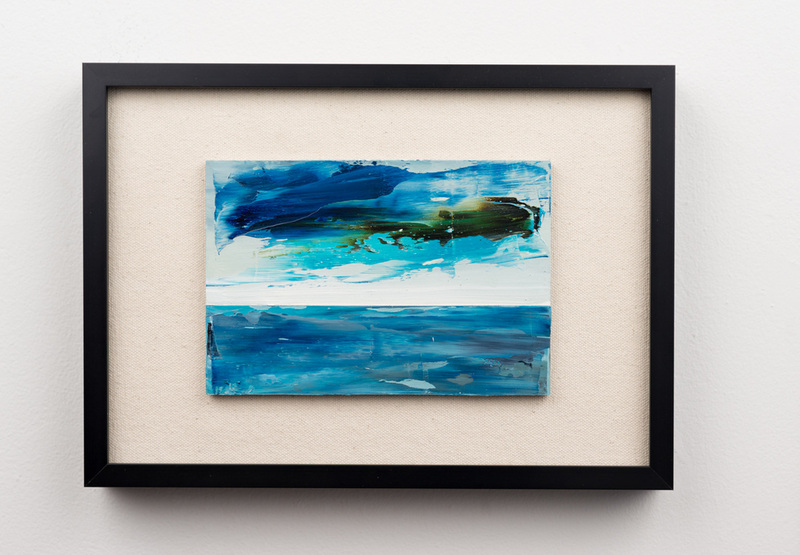 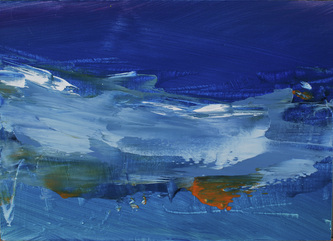 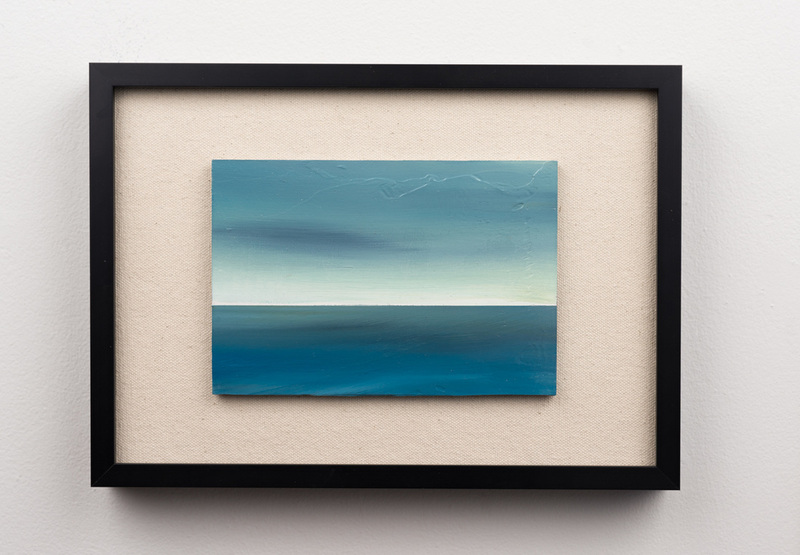 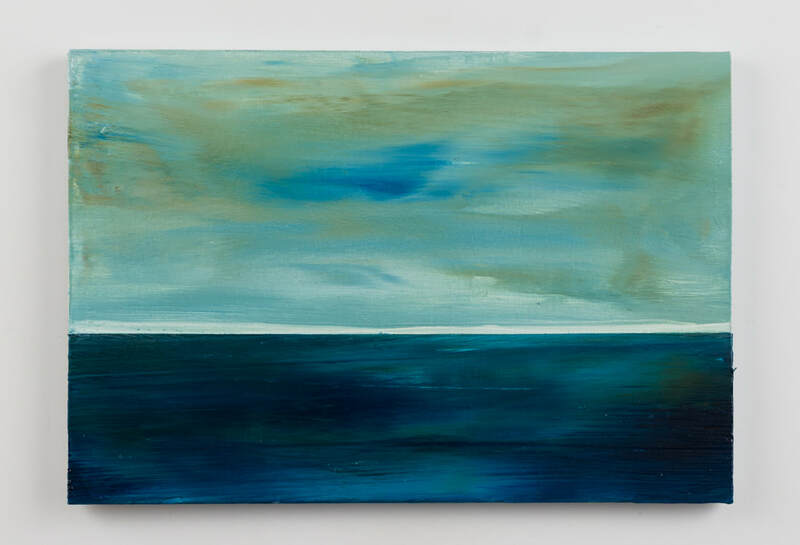 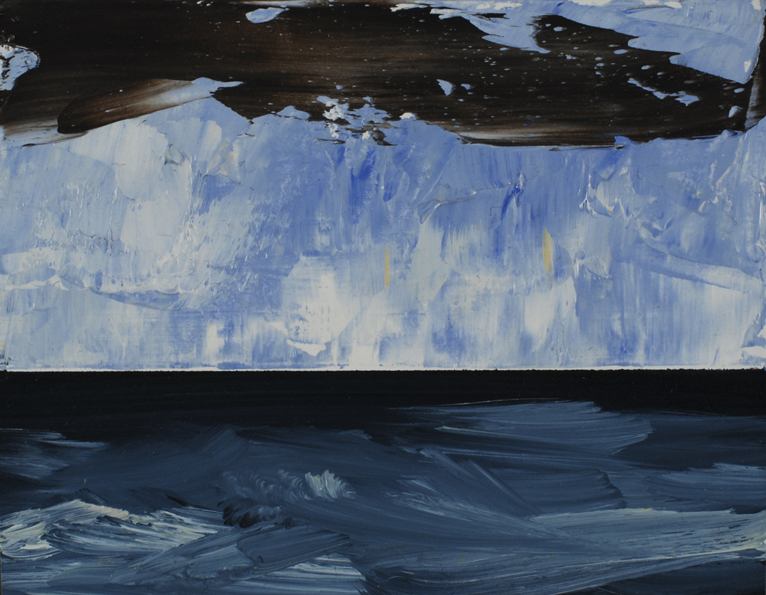 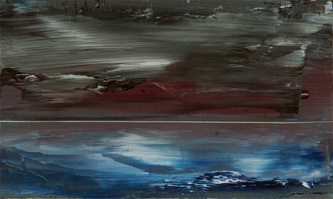 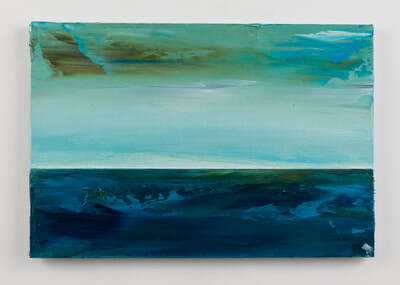 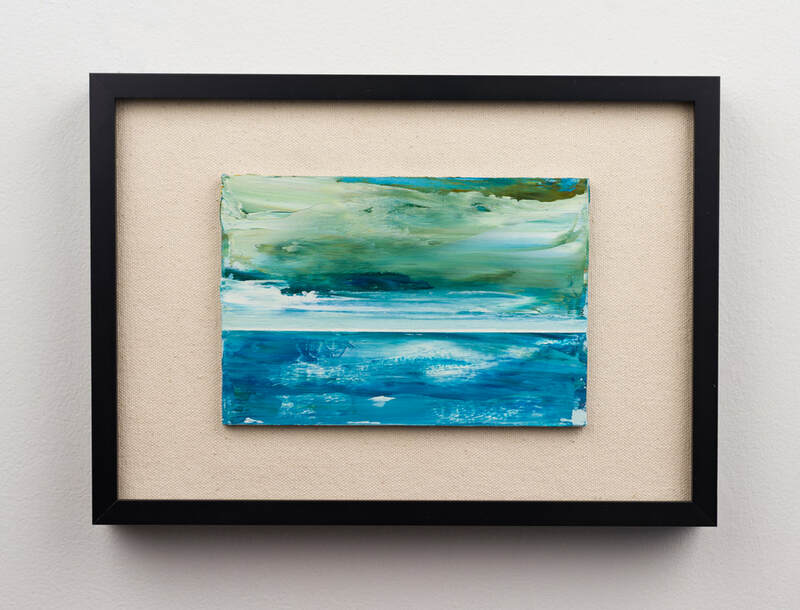 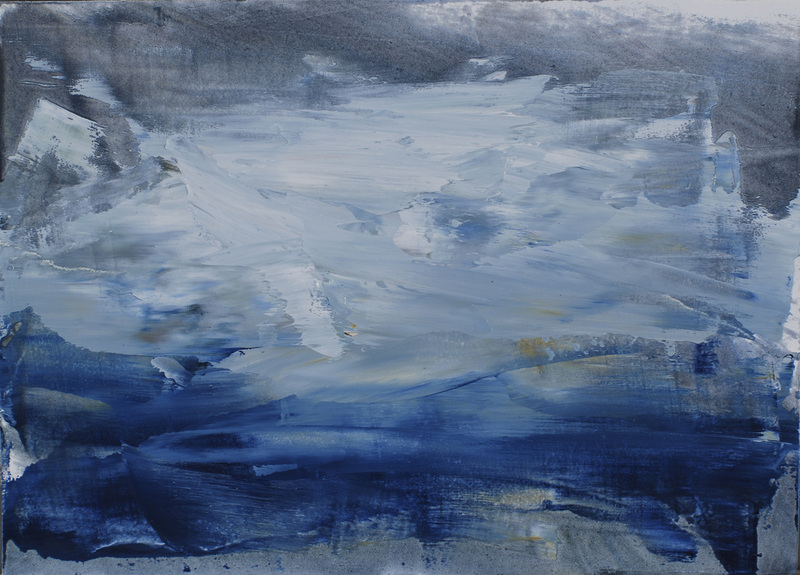 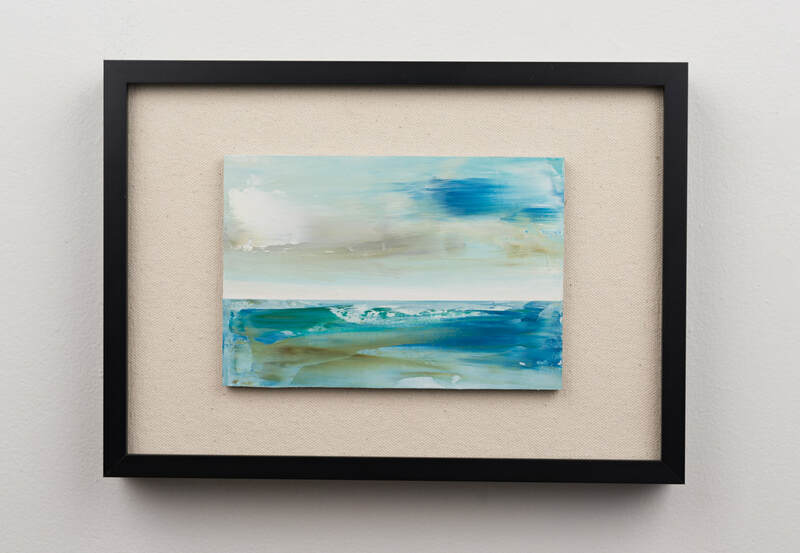 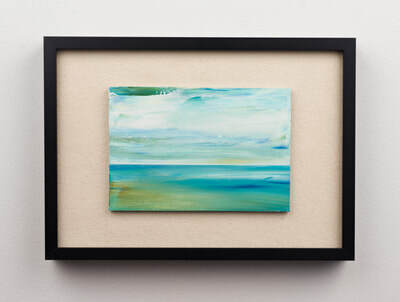 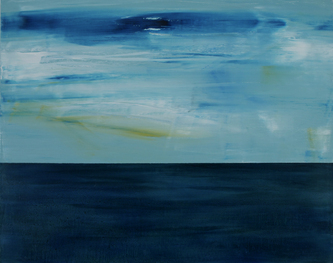 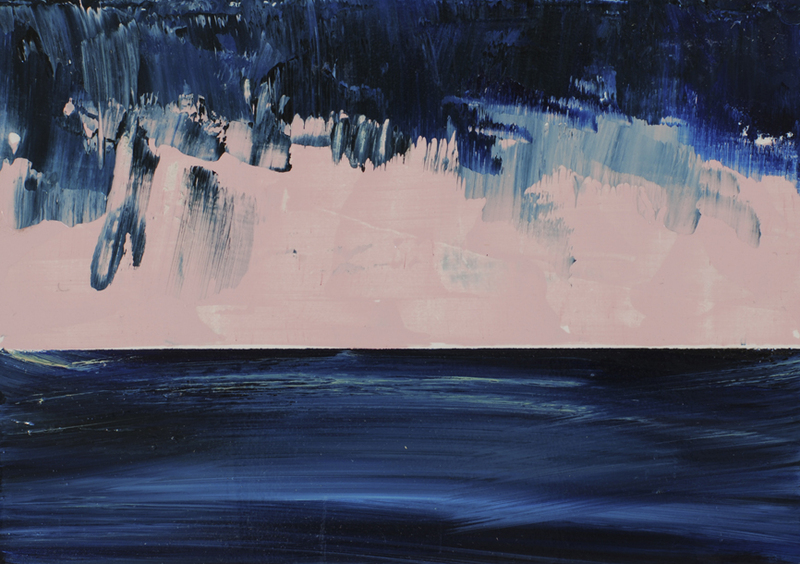 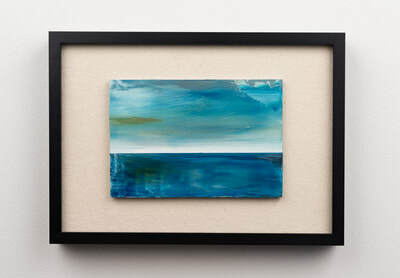 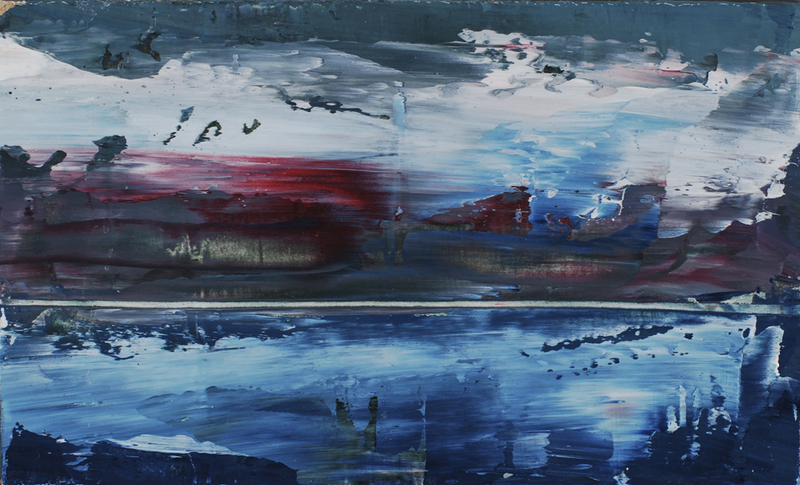 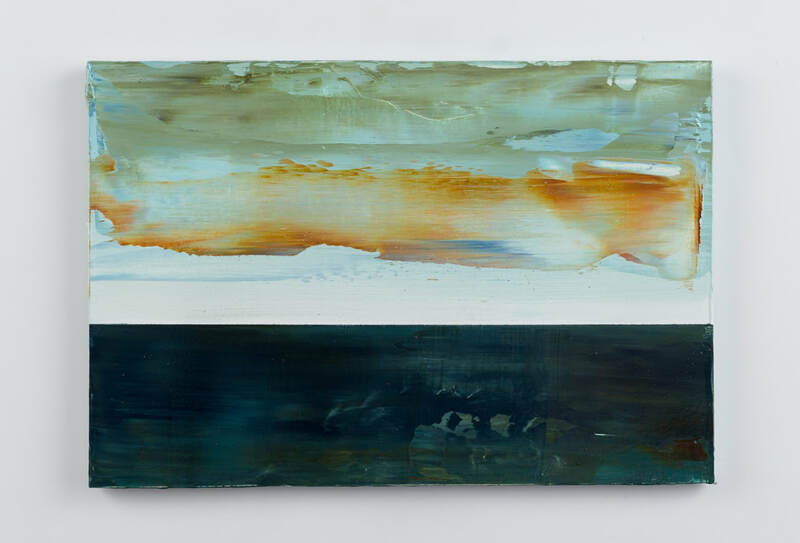 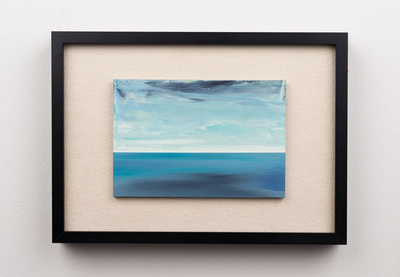 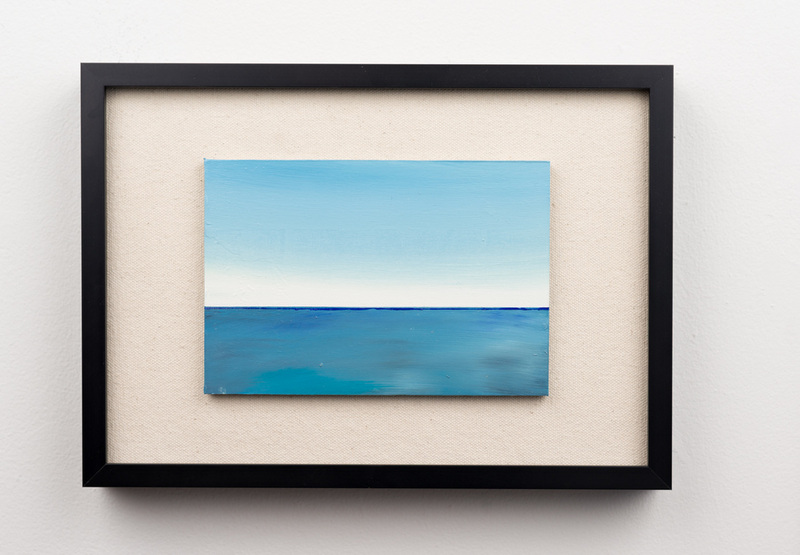 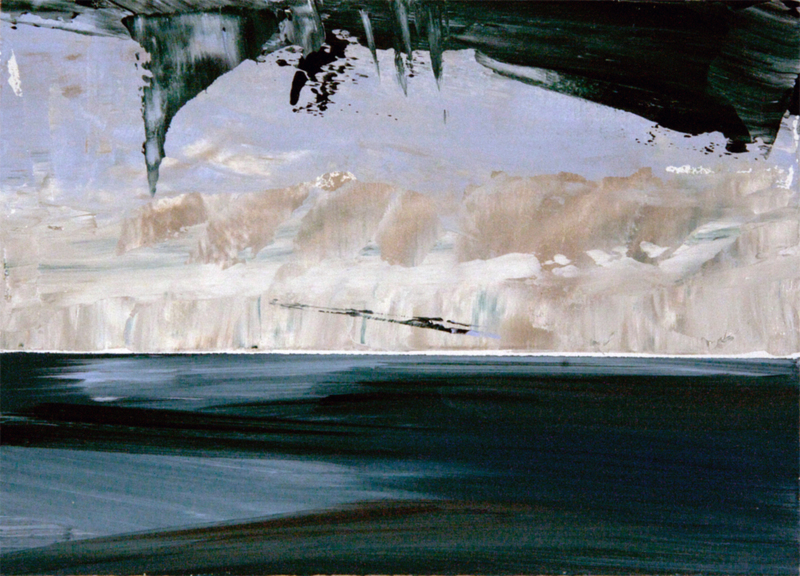 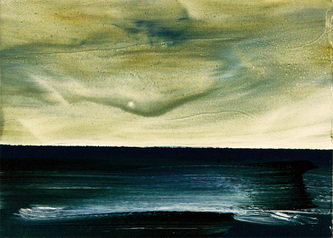 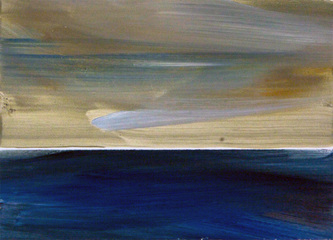 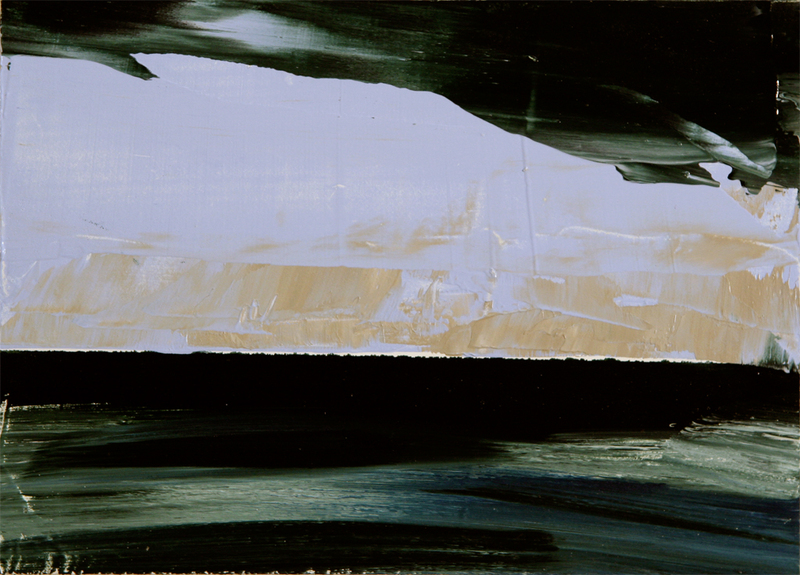 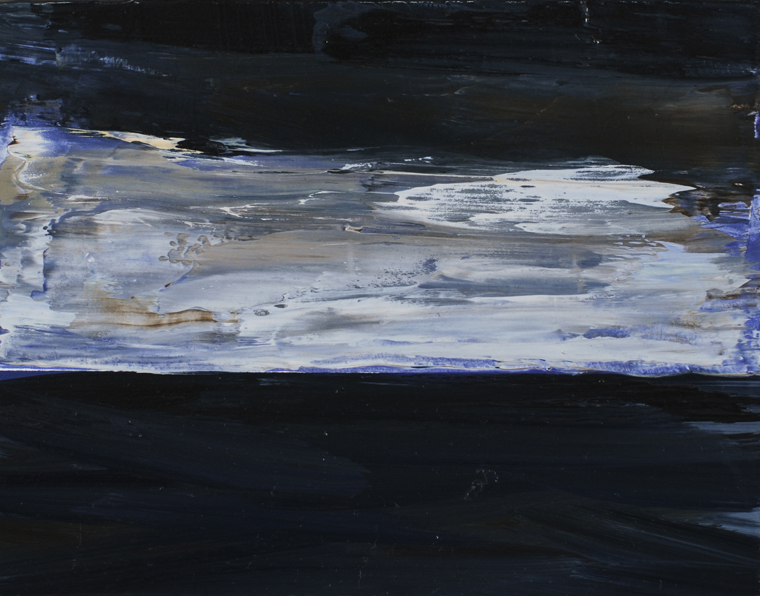 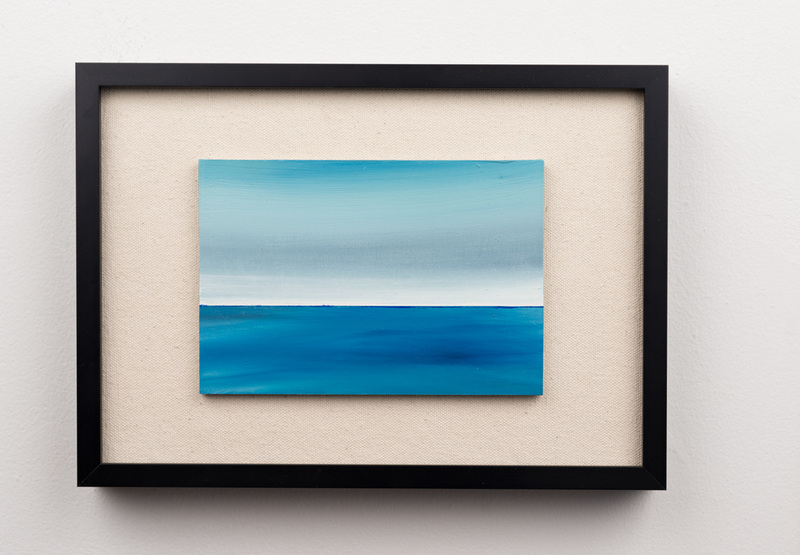 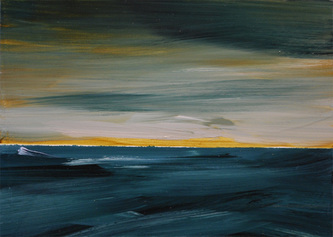 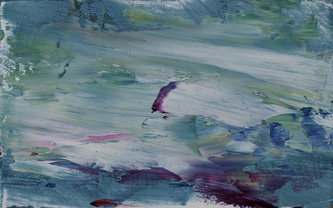 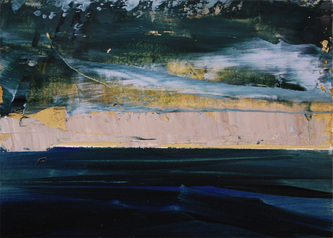 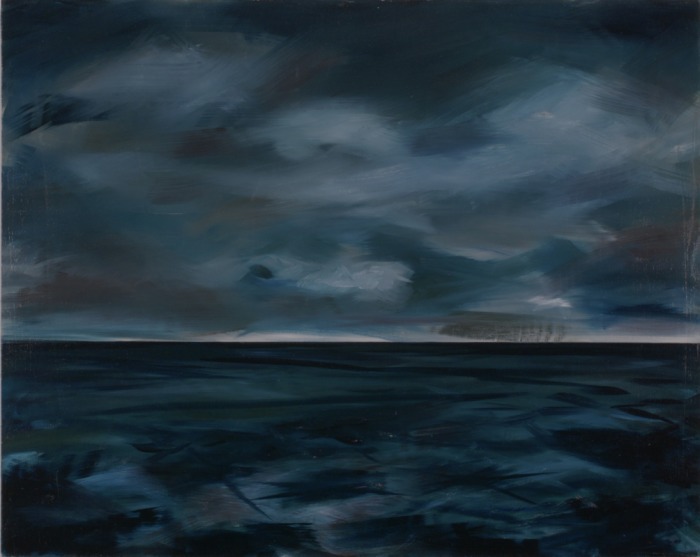 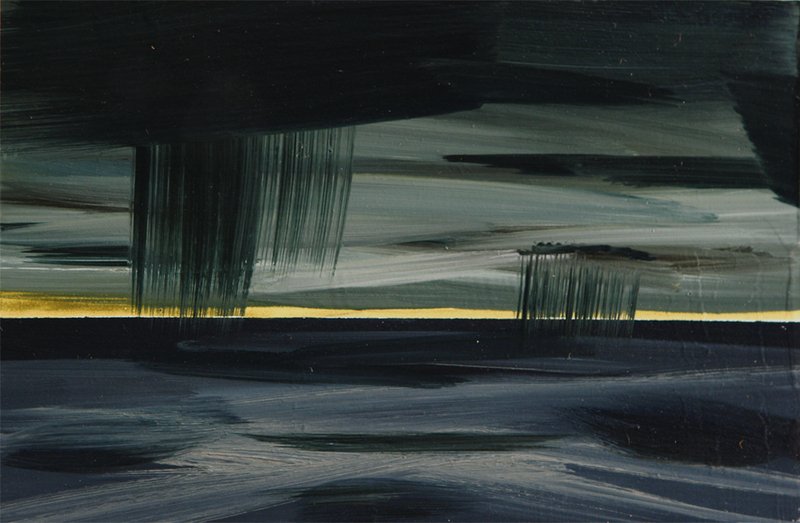 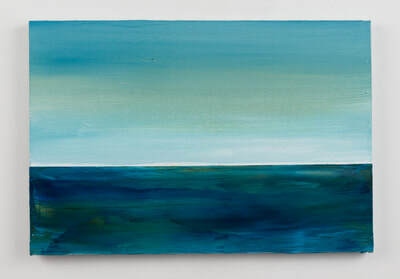 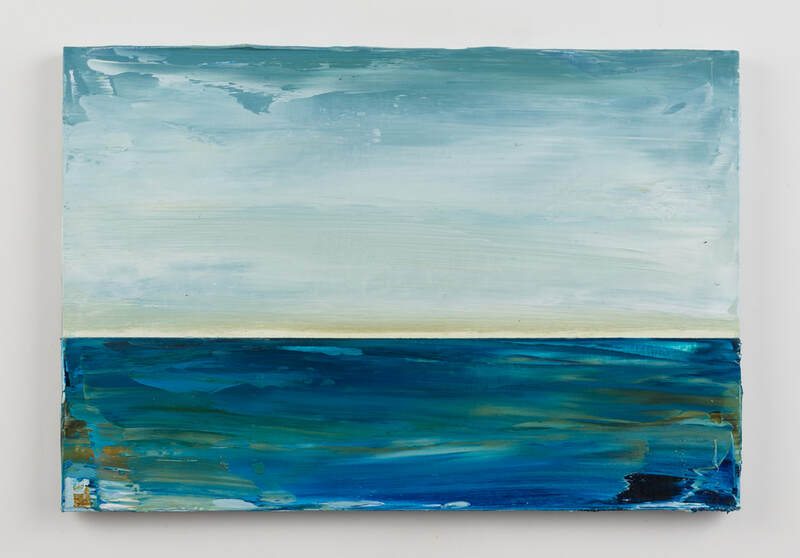 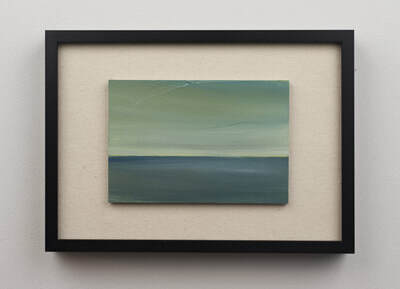 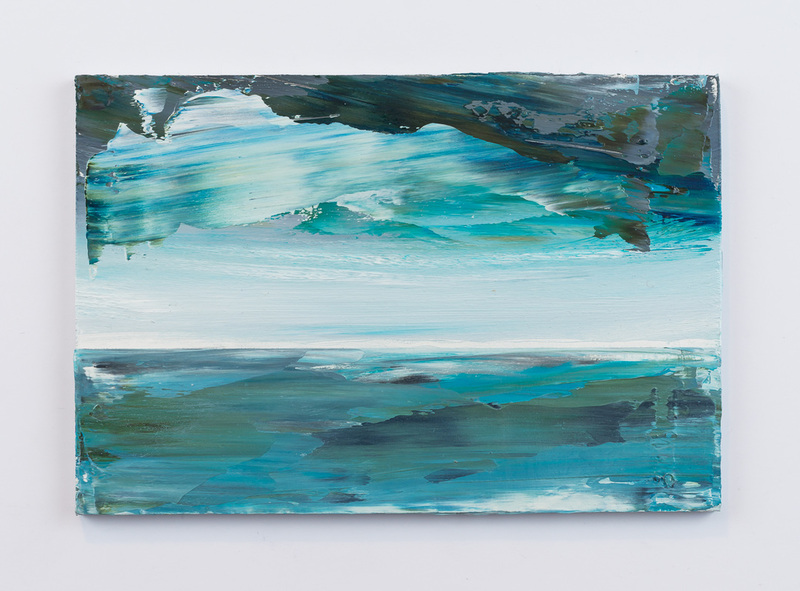 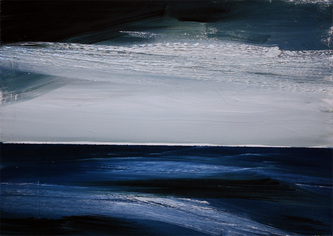 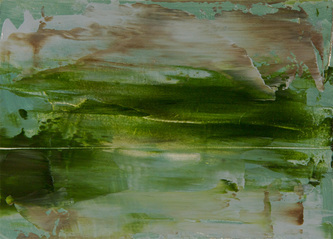 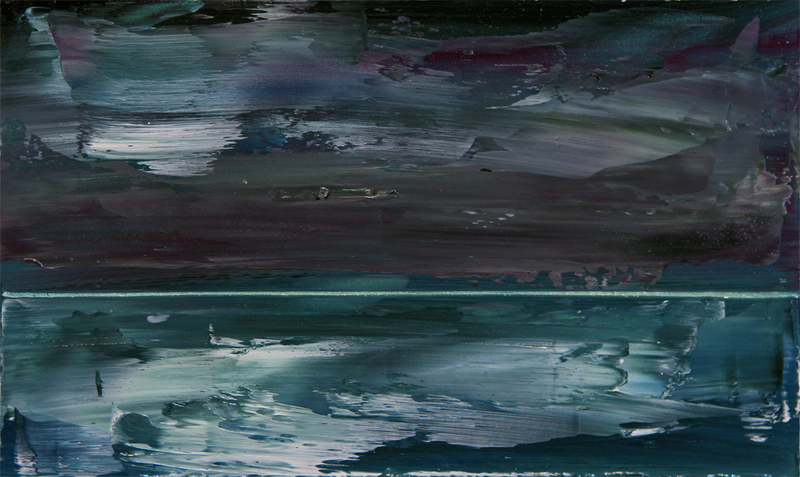 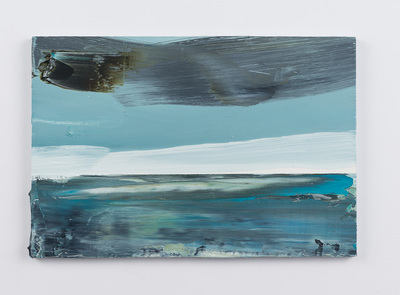 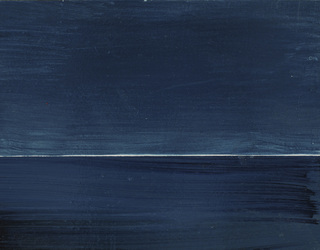 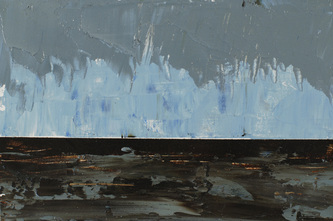 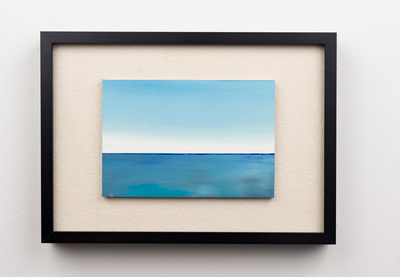 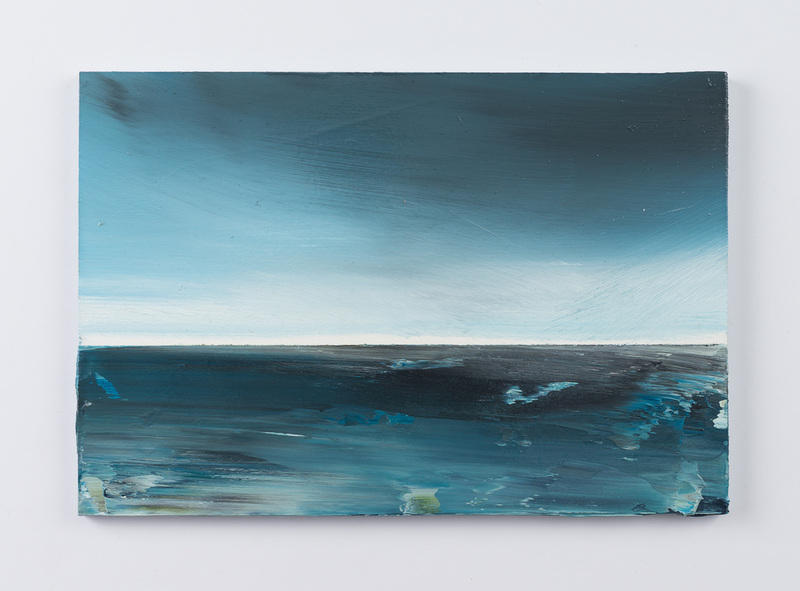 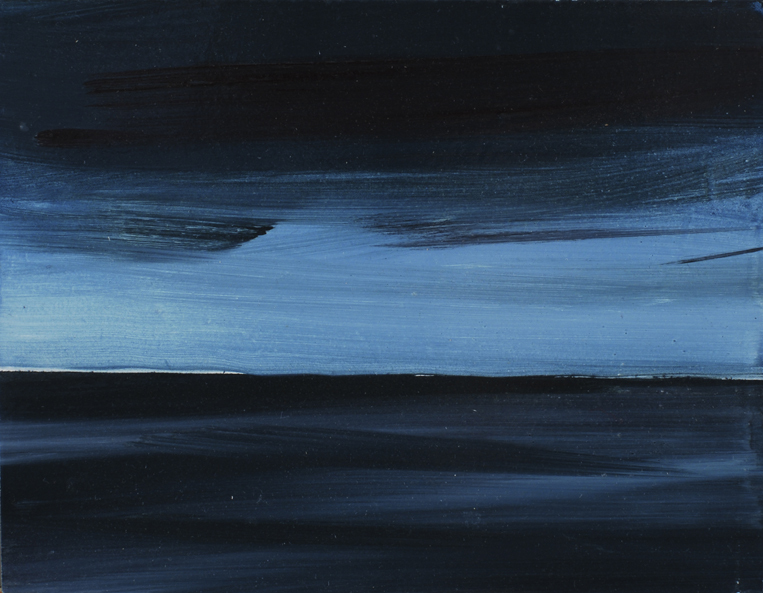 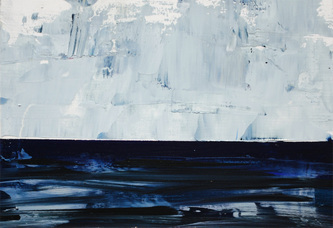 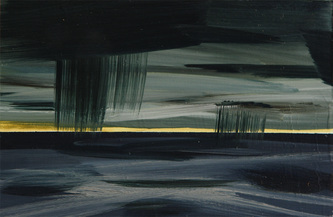 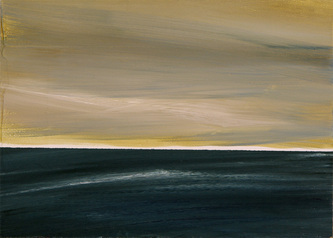 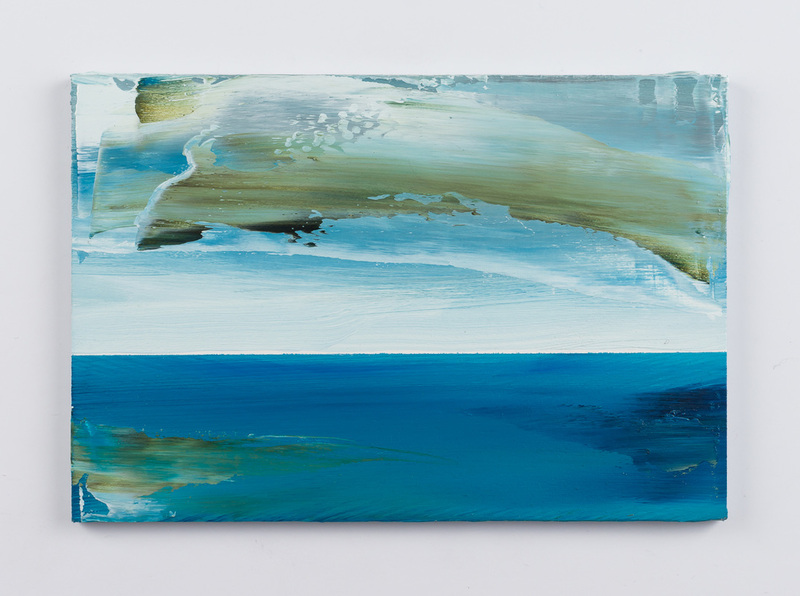 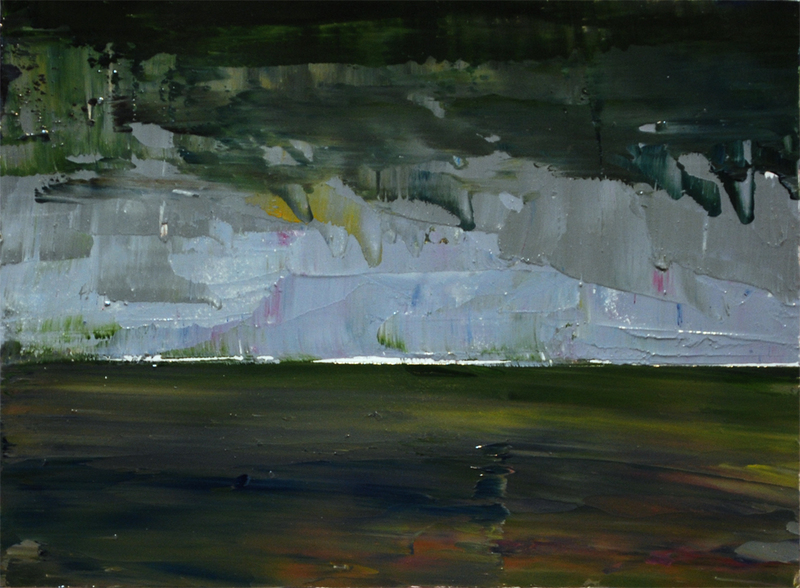 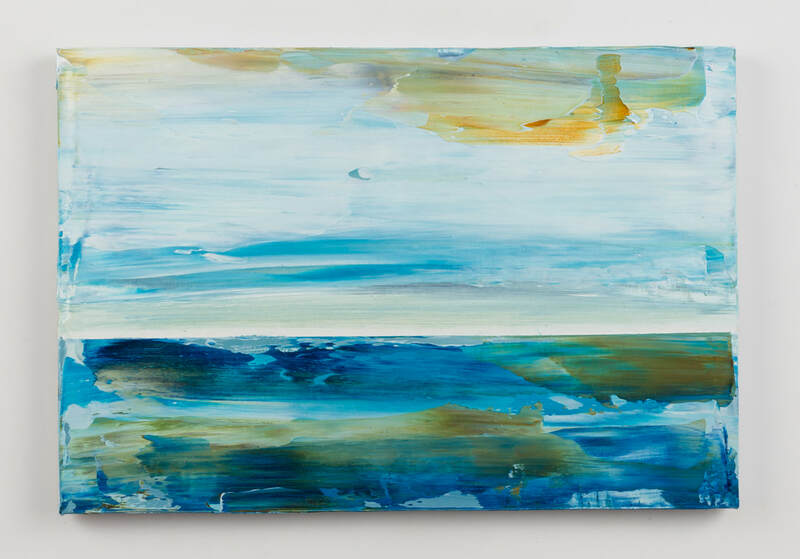 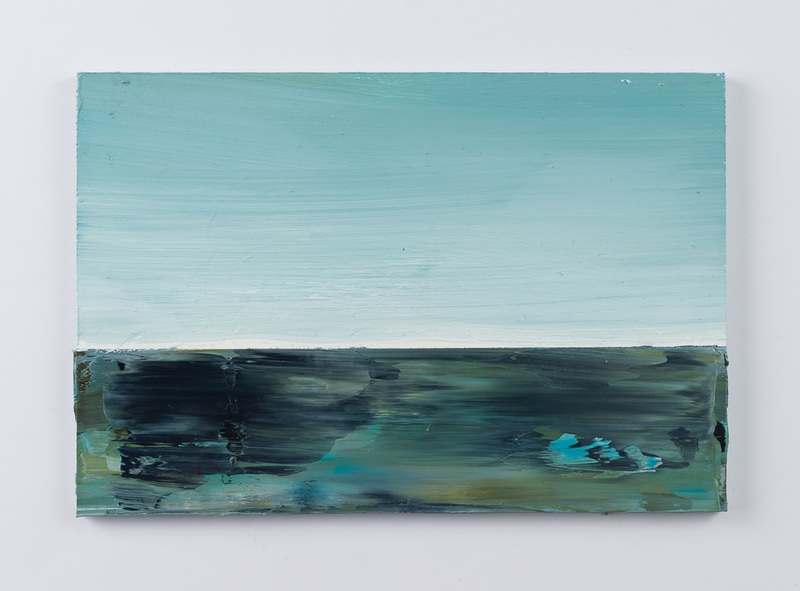 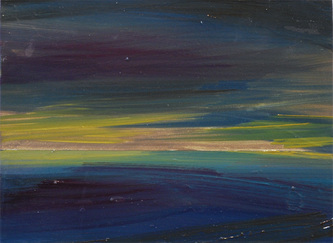 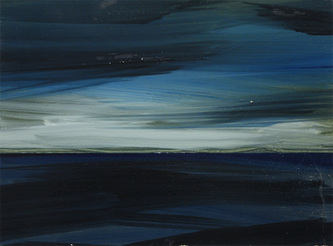 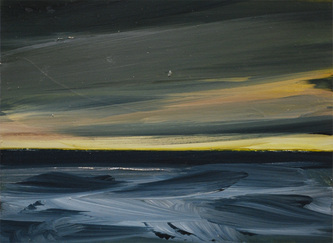 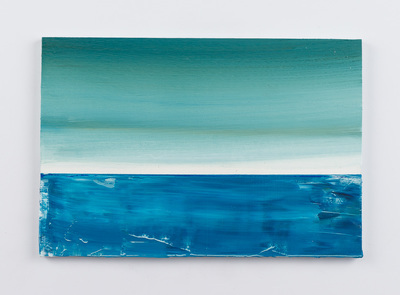 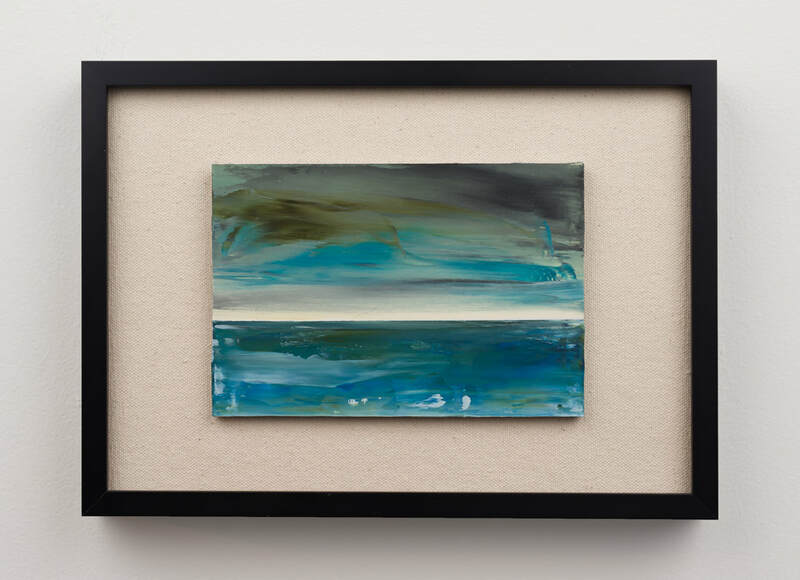 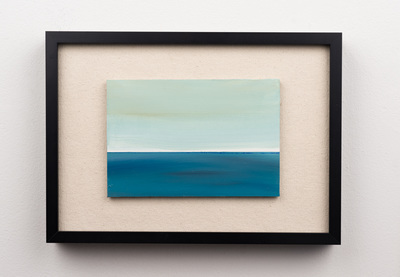 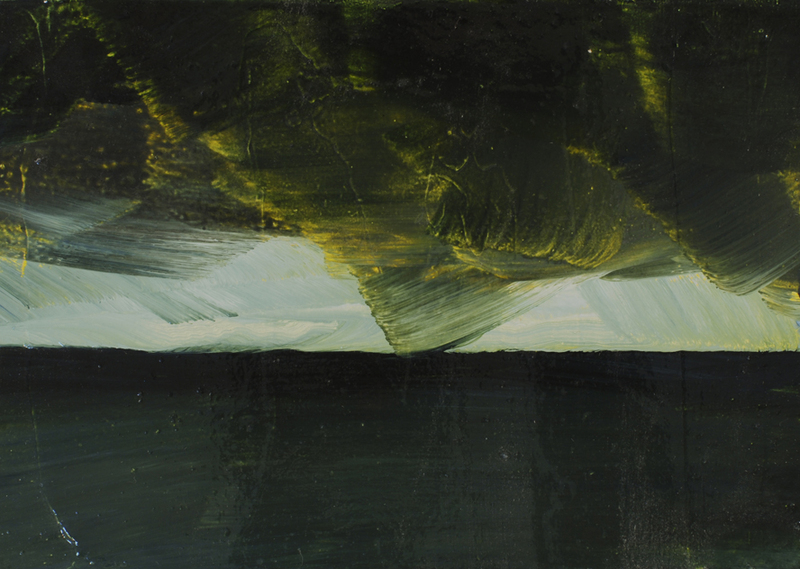 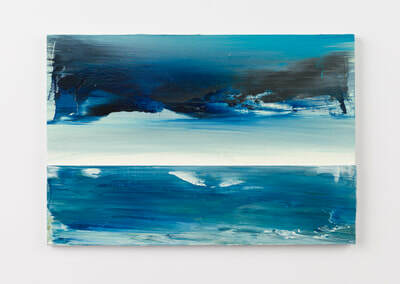 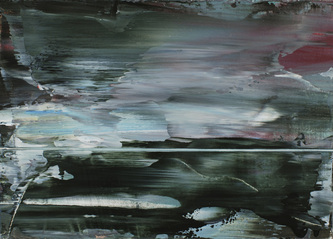 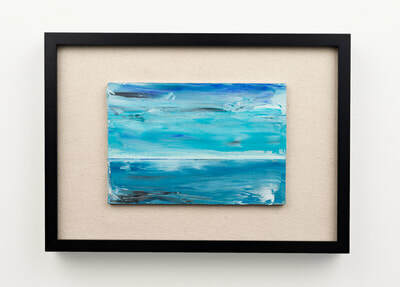 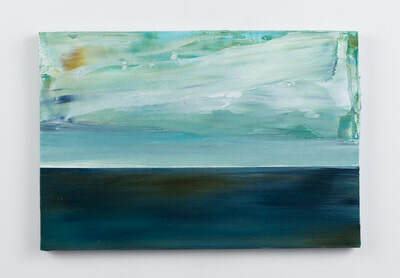 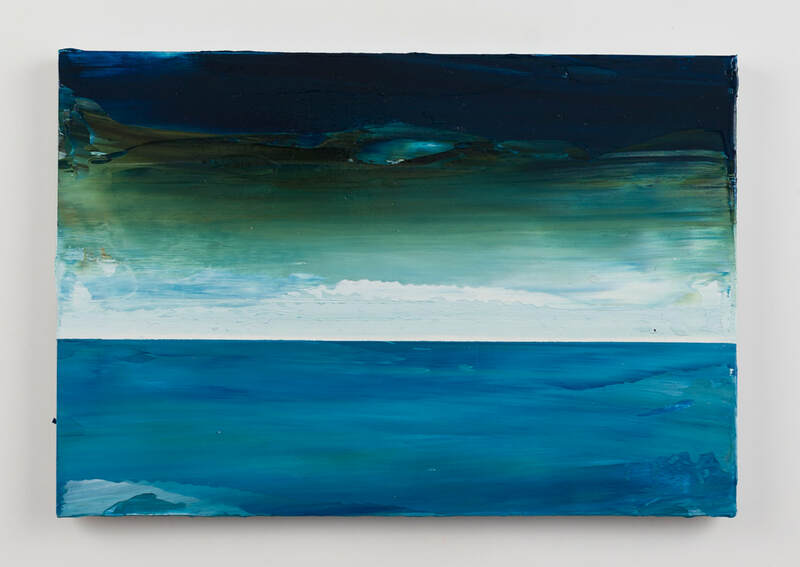 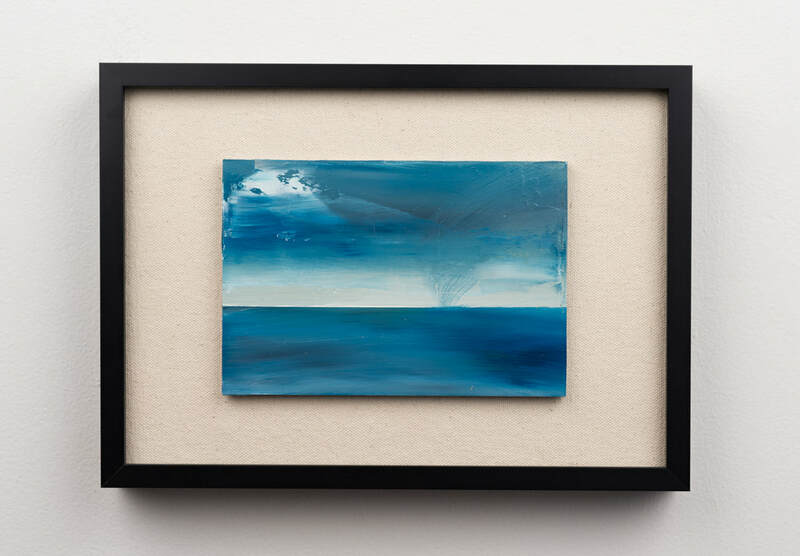 The works in the Seascape series are not so much depiction of nautical scenes as they are meditations on a place. 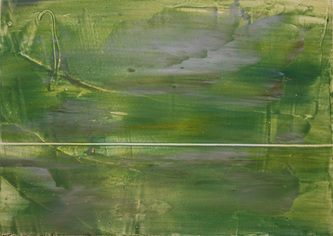 The composition of each piece remains the same and a limited palette of colors is employed allowing the paintings to maintain a unified yet unique quality. The strong emphasis on the horizon line serves as both an entry point into the works and also as a emblem for the inward reflection that comes from looking out into an expanse.